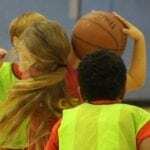 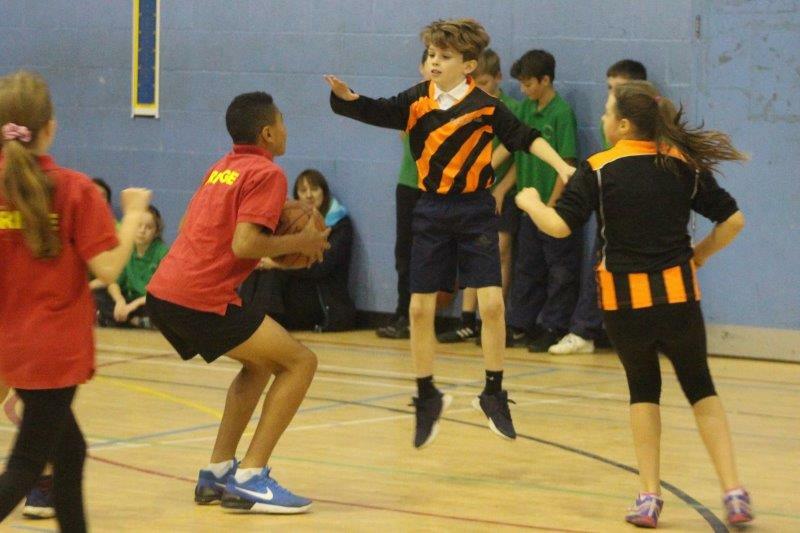 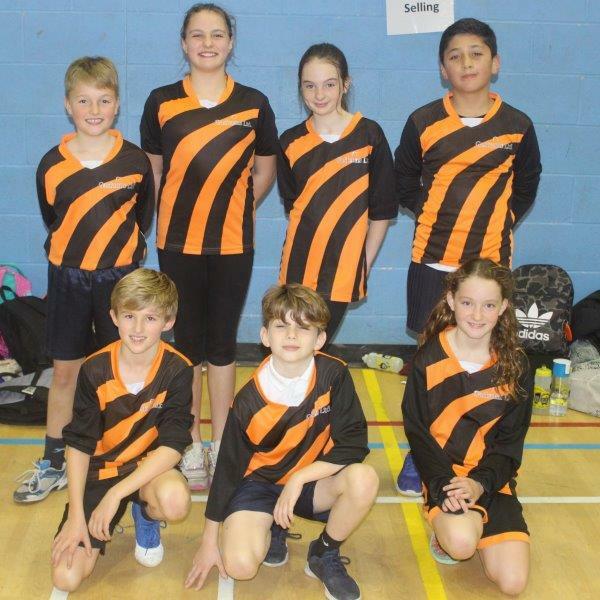 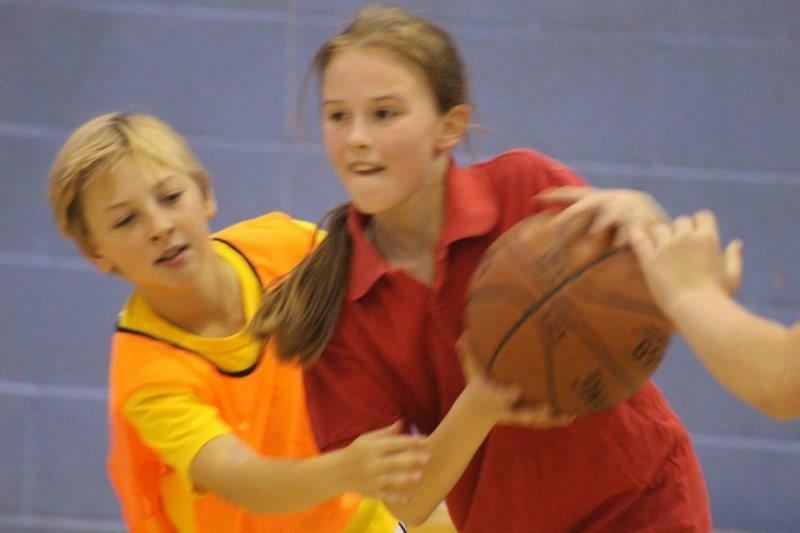 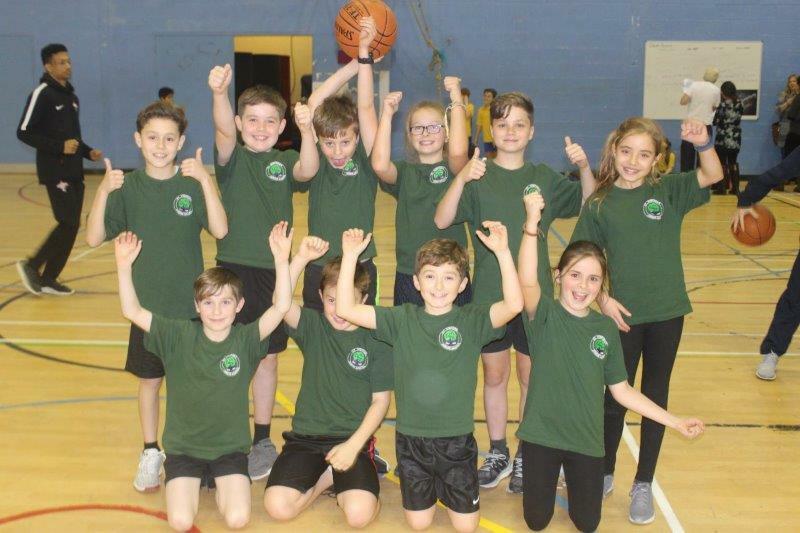 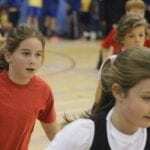 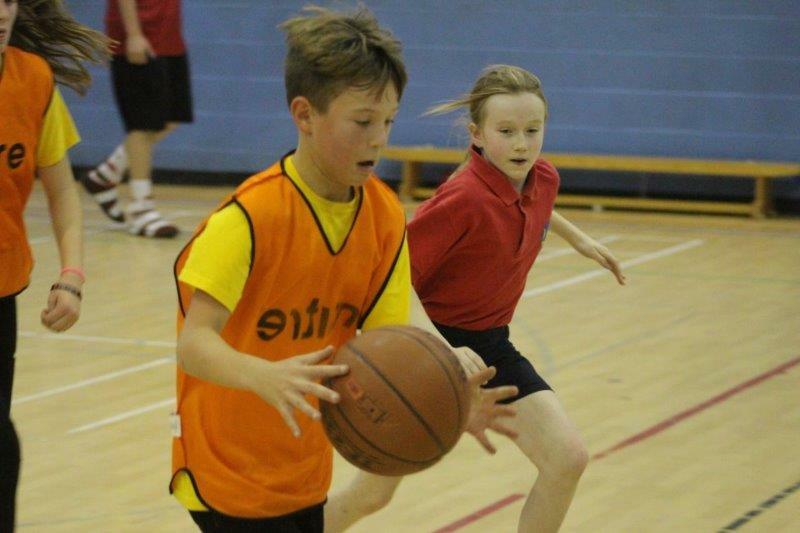 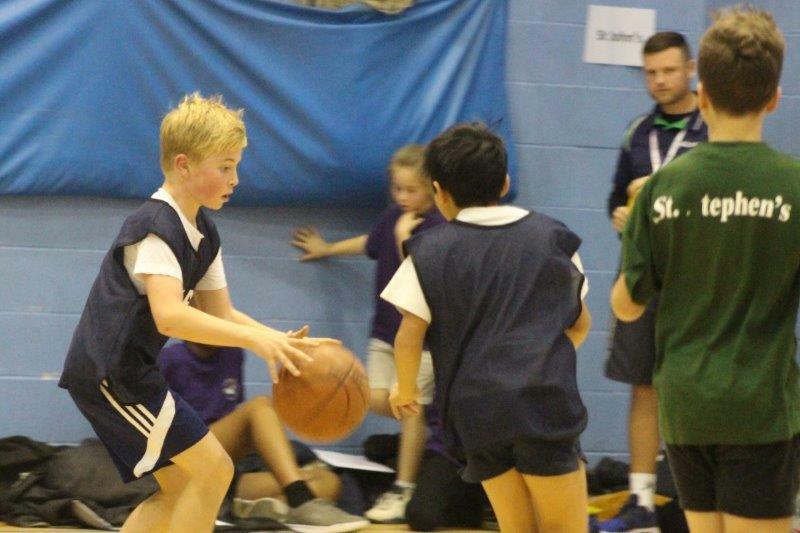 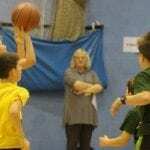 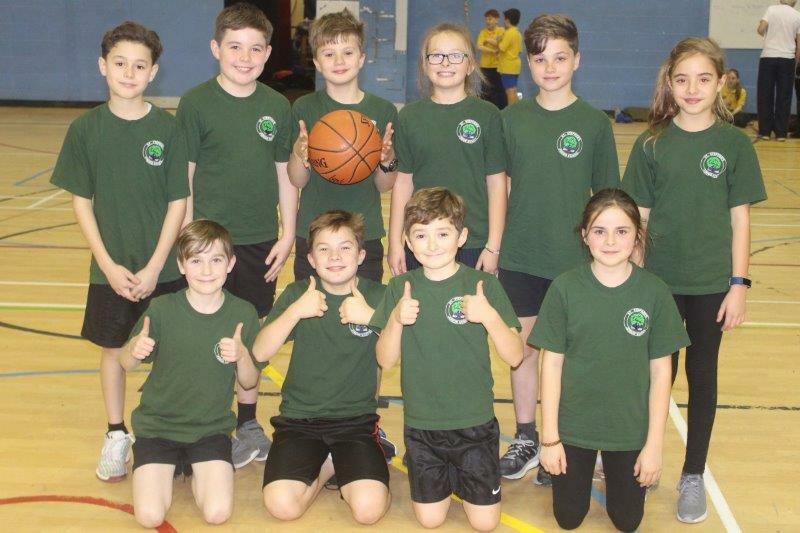 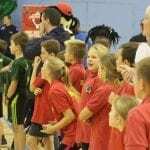 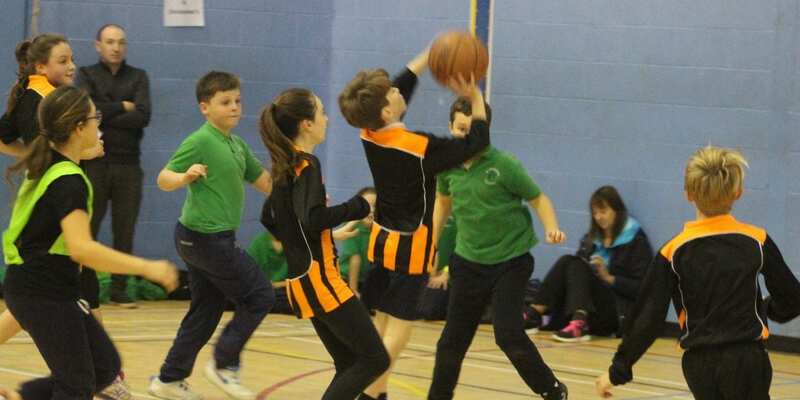 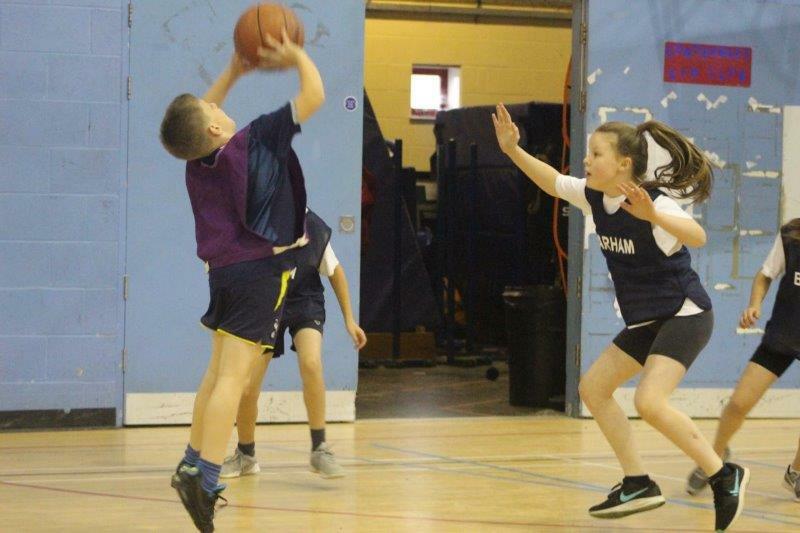 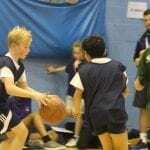 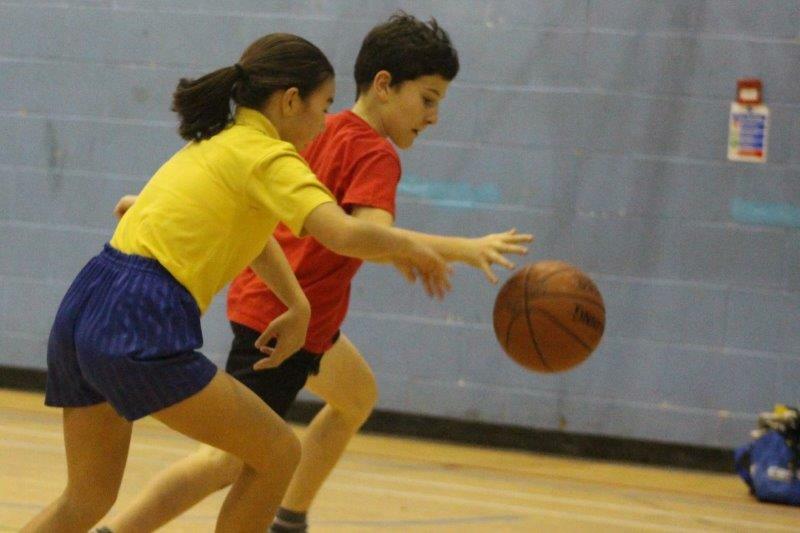 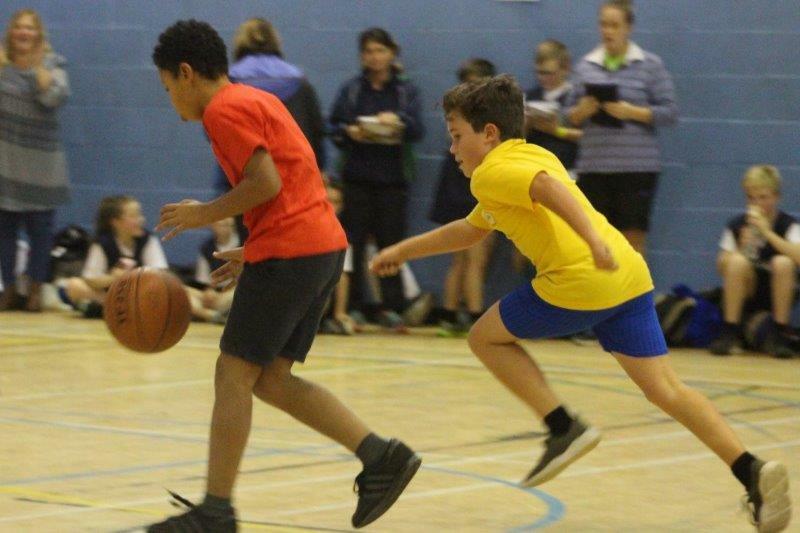 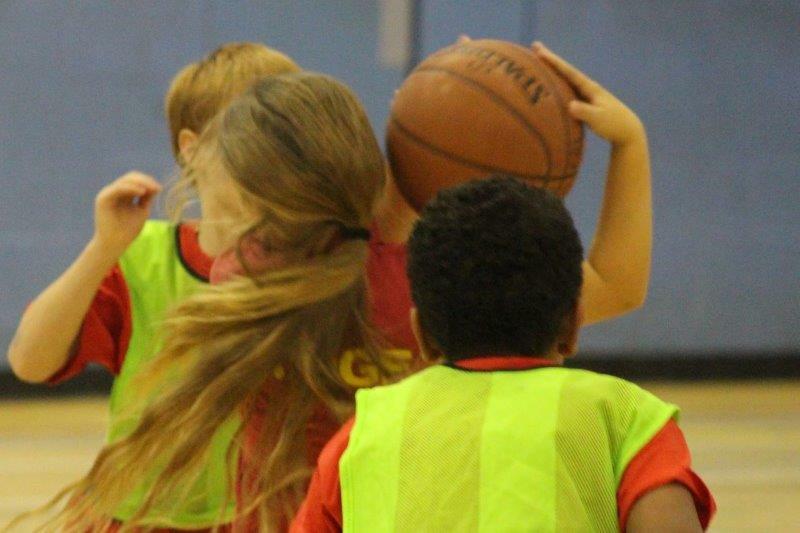 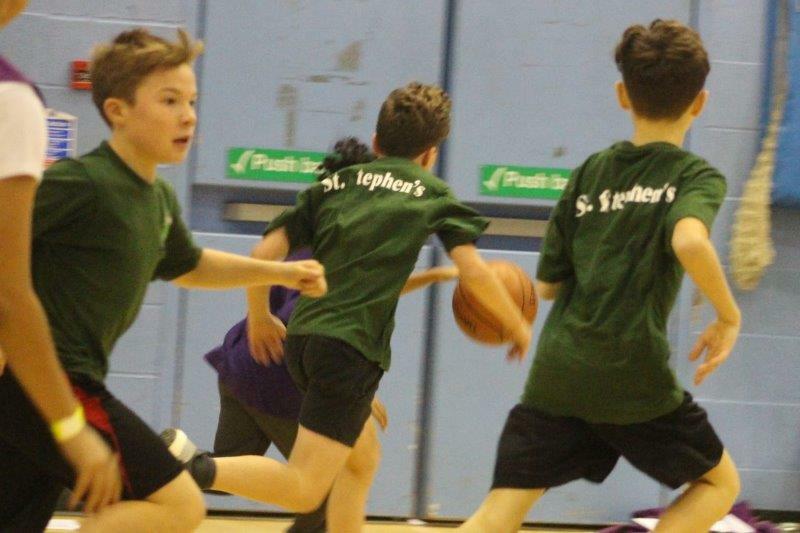 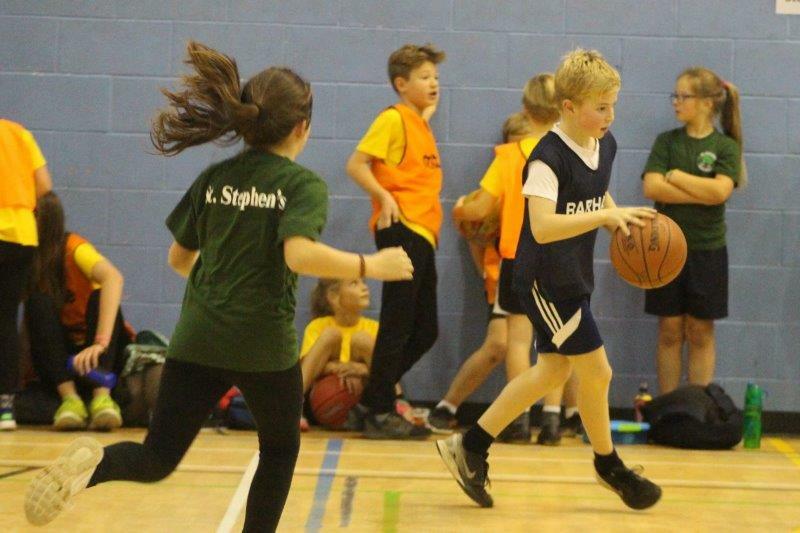 An array of sporting talent was on display today as Basketball teams from Primary Schools around the Canterbury area competed at the City’s Academy Sports Hall. 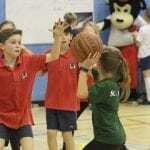 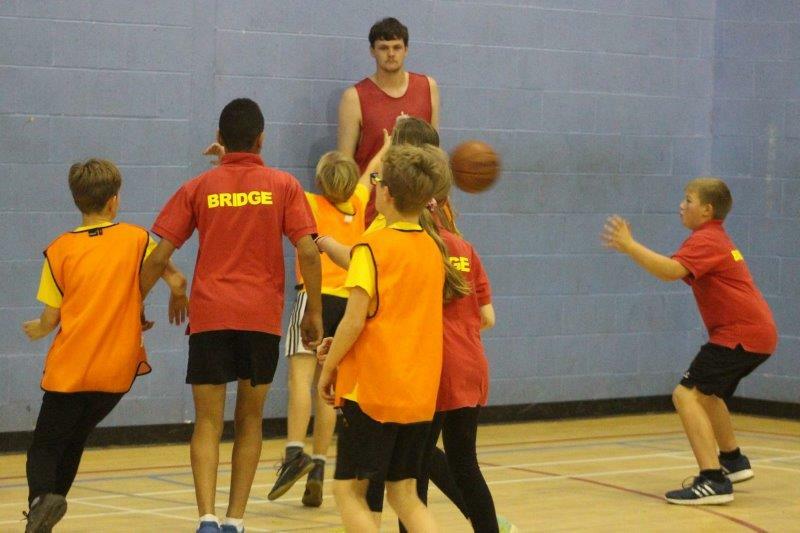 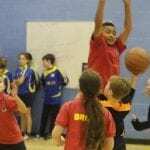 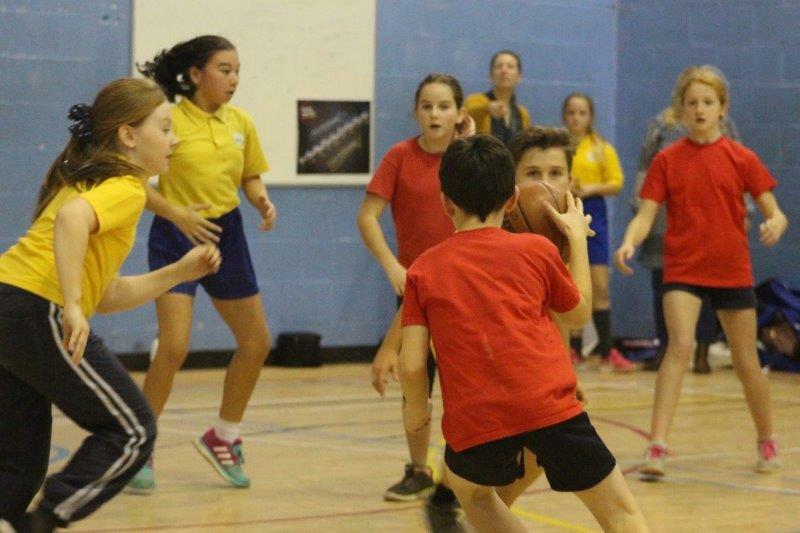 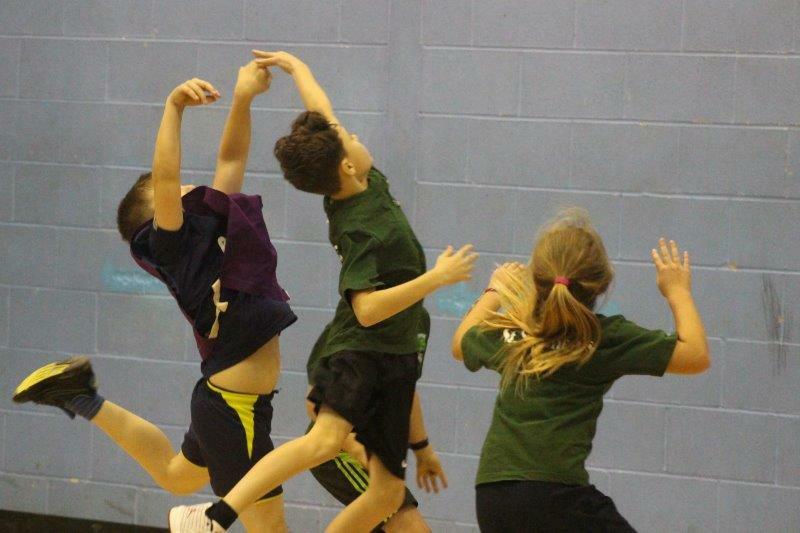 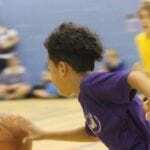 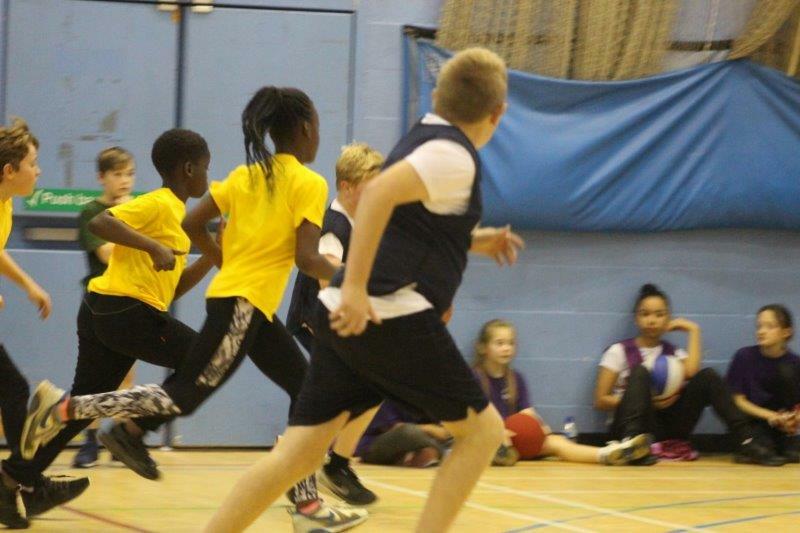 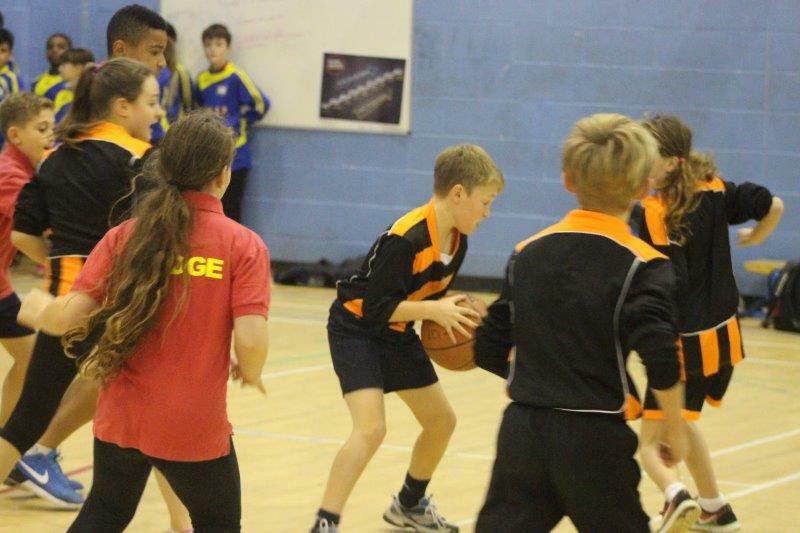 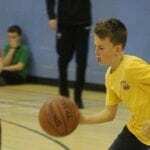 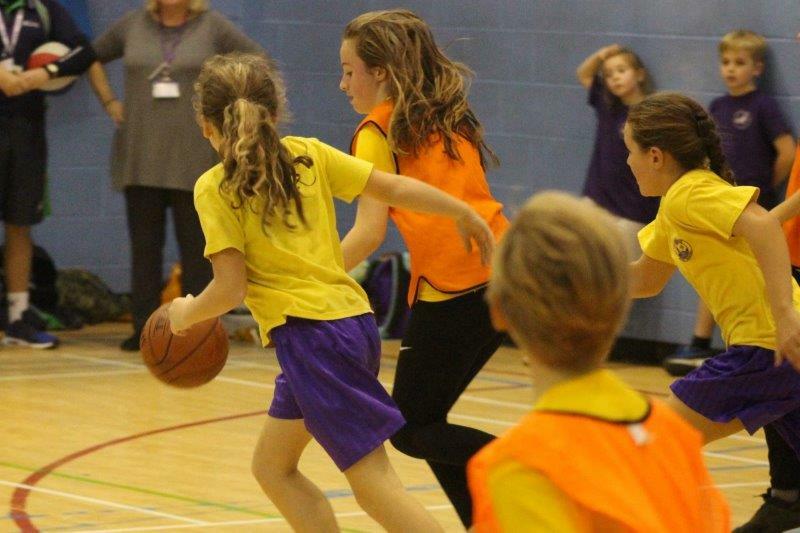 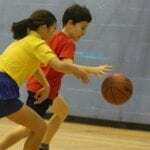 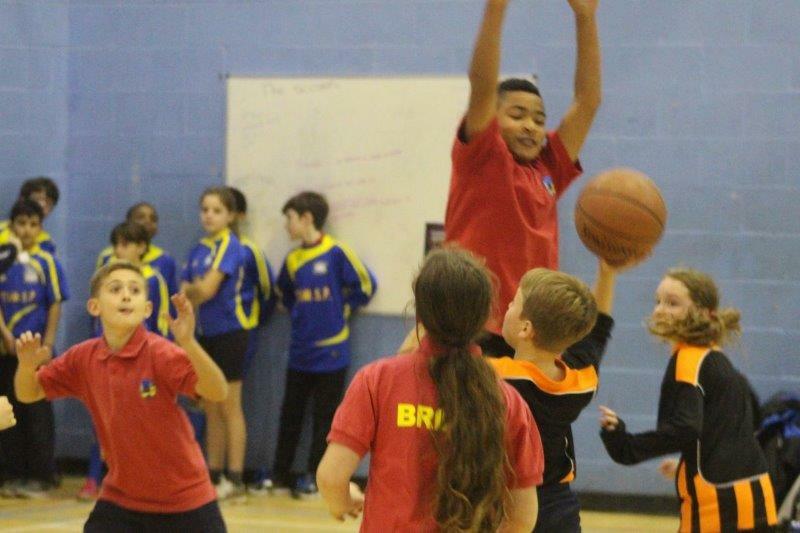 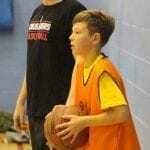 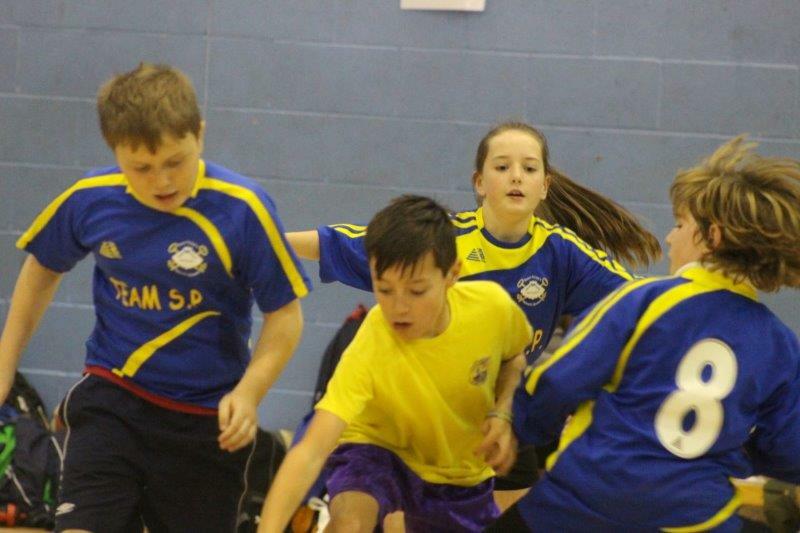 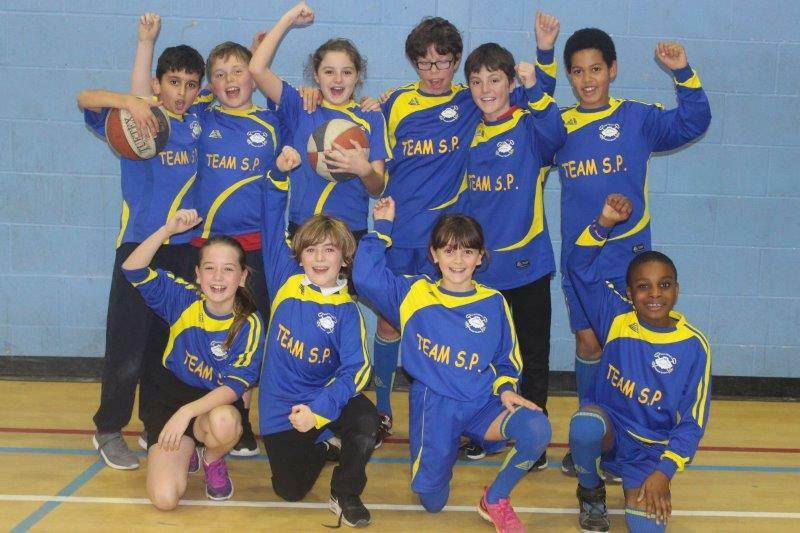 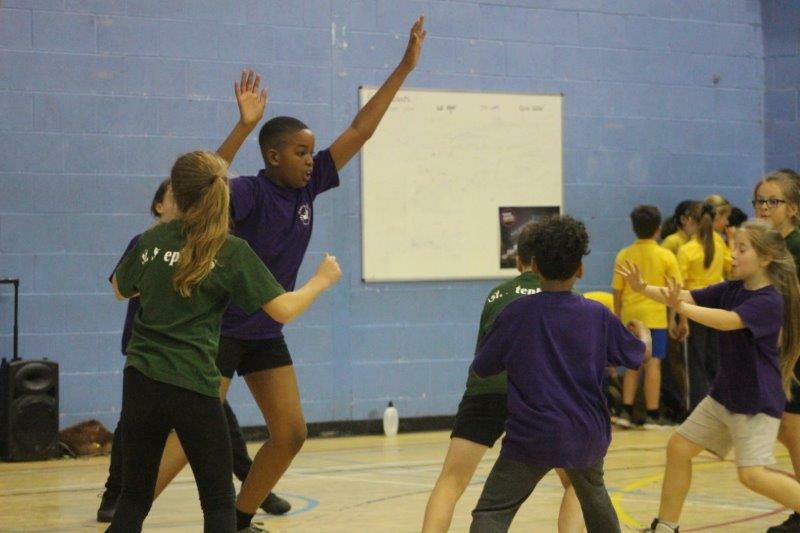 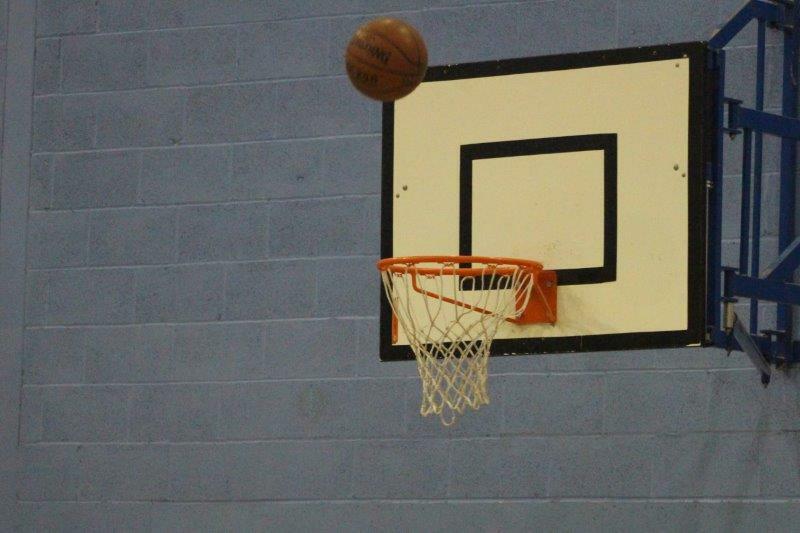 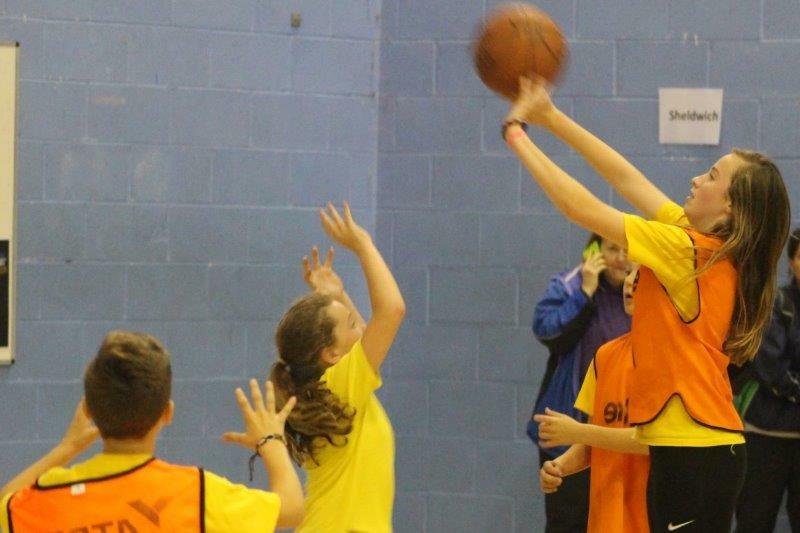 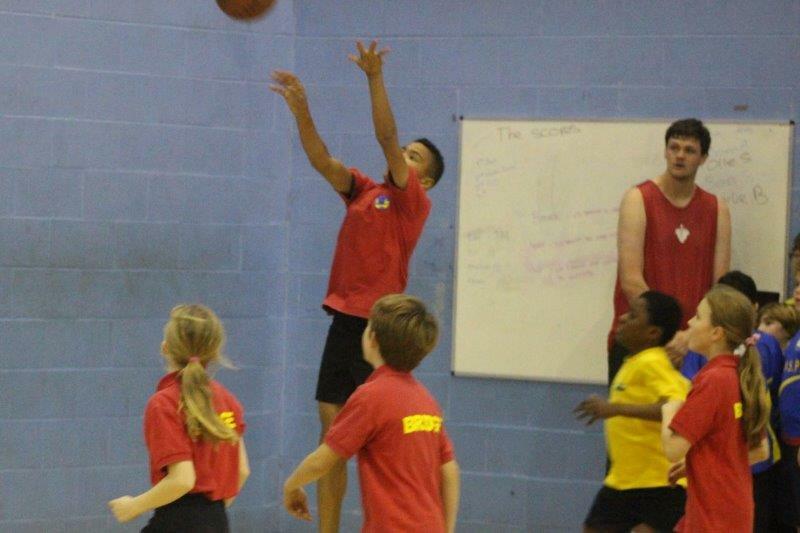 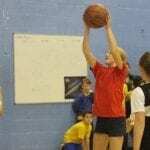 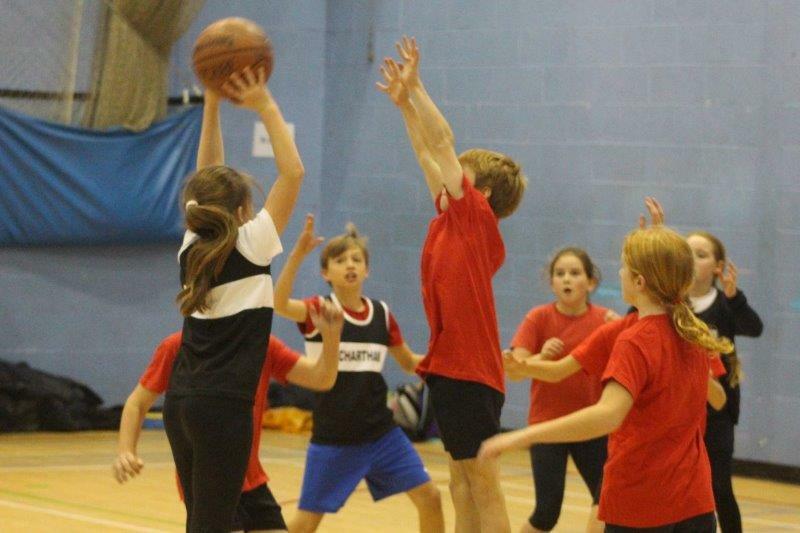 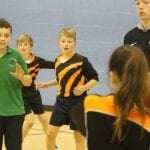 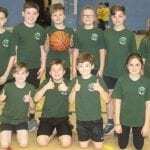 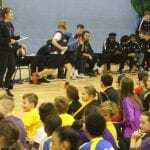 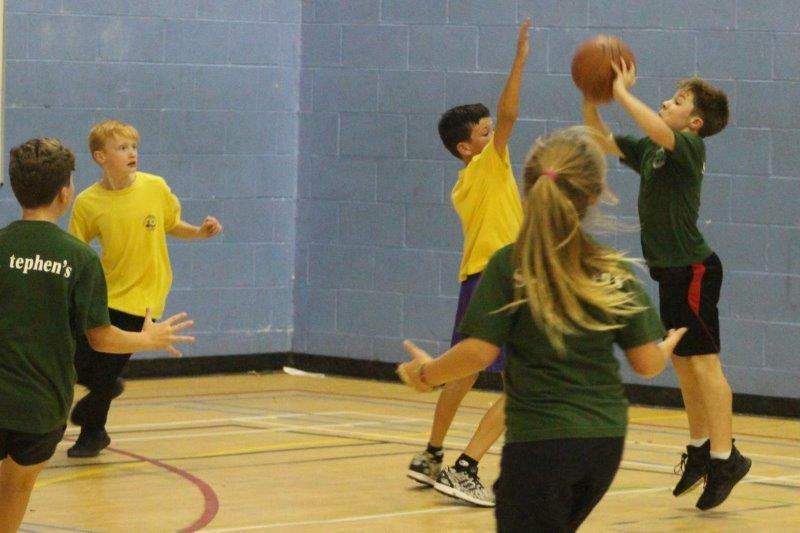 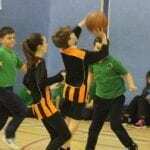 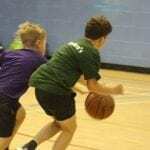 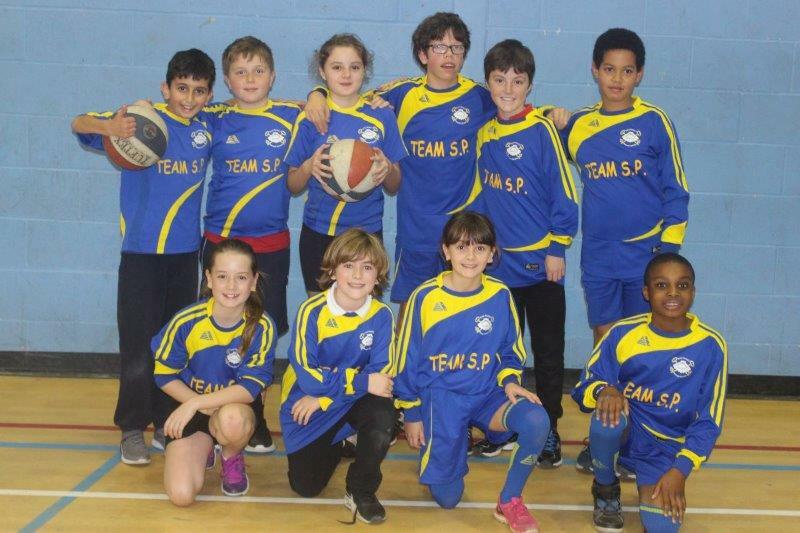 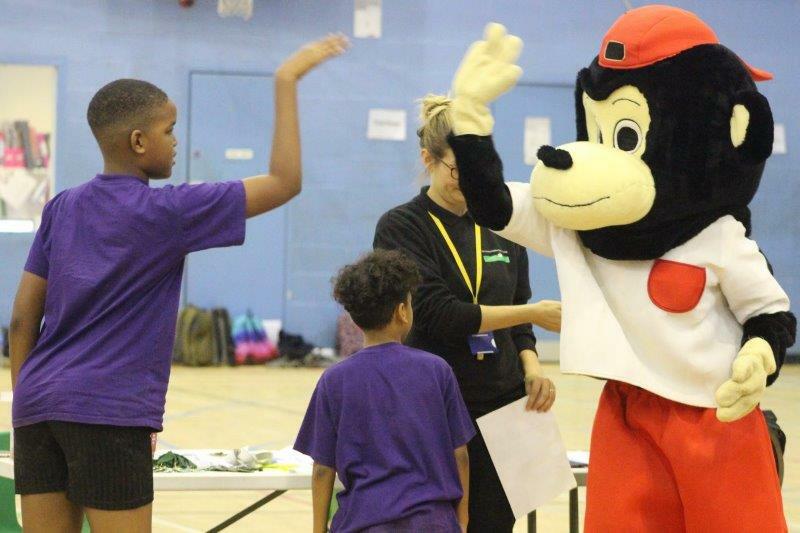 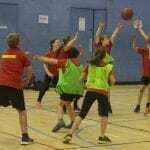 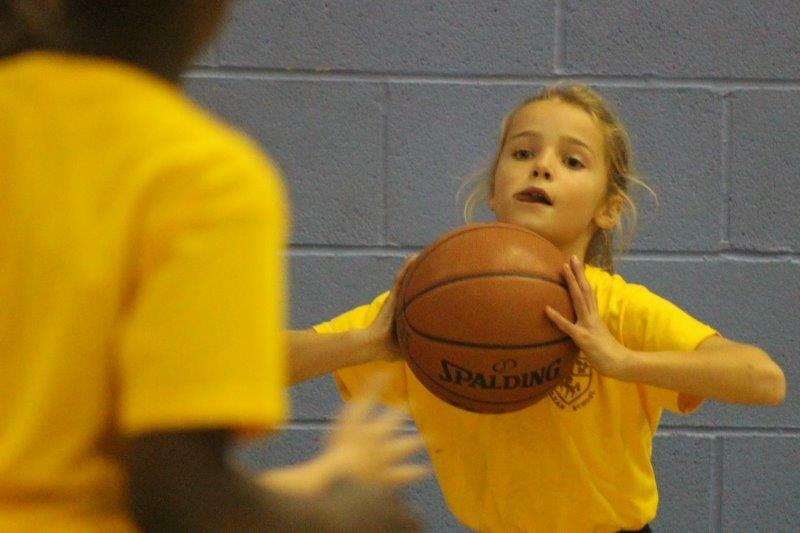 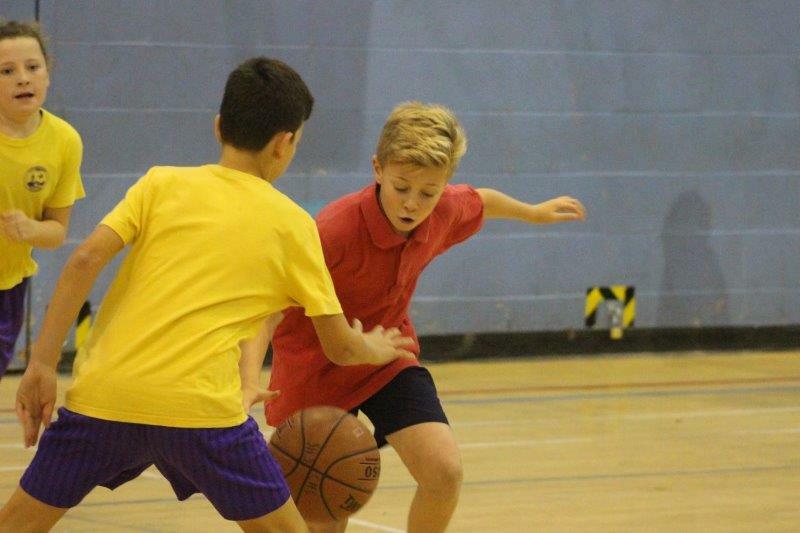 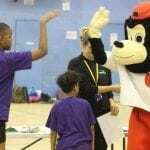 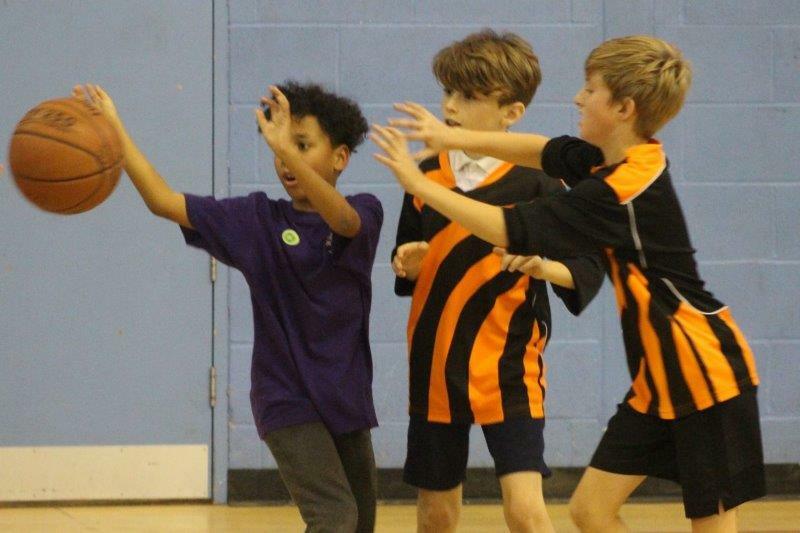 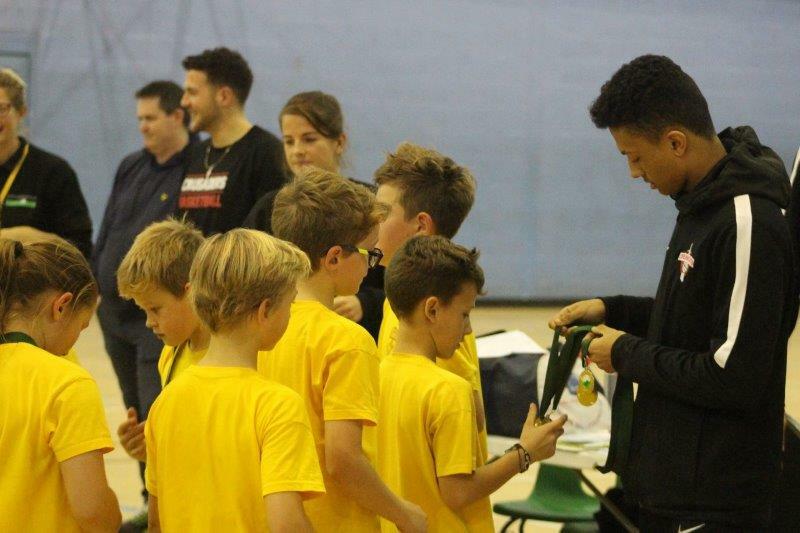 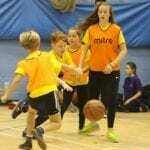 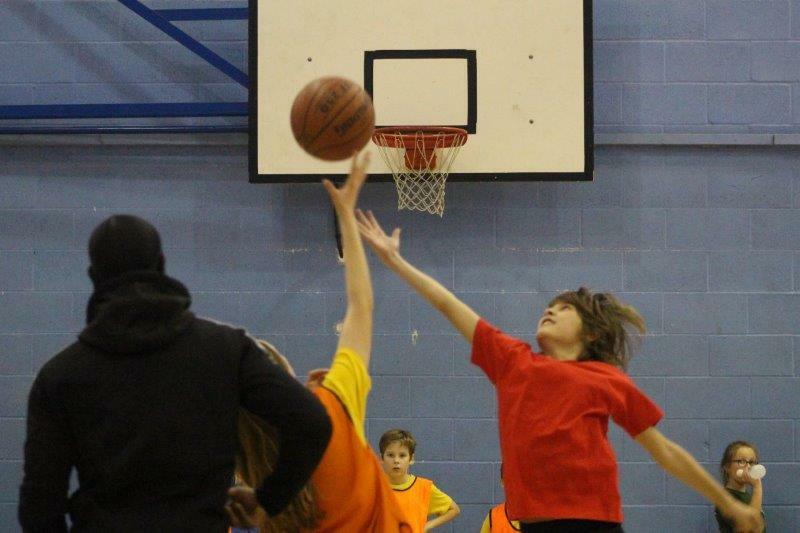 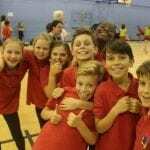 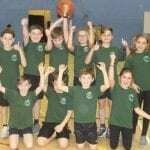 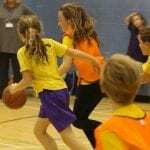 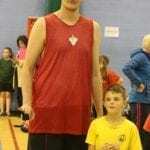 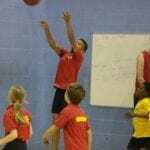 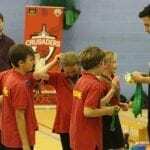 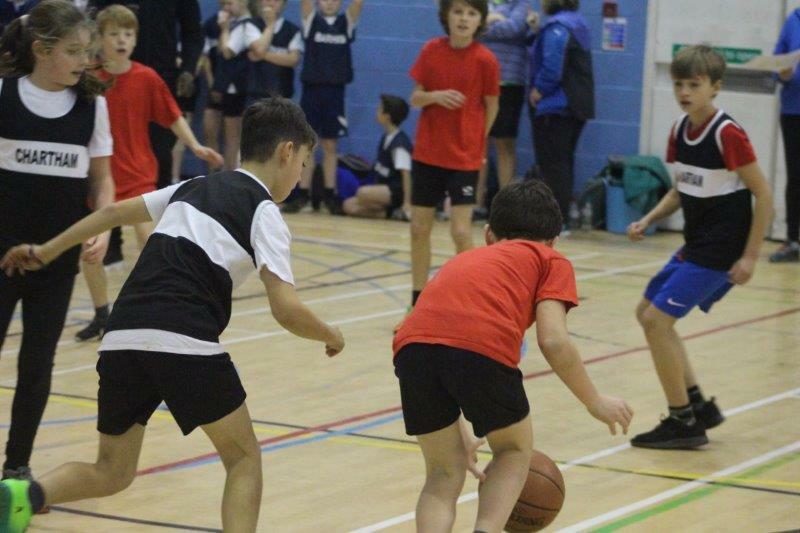 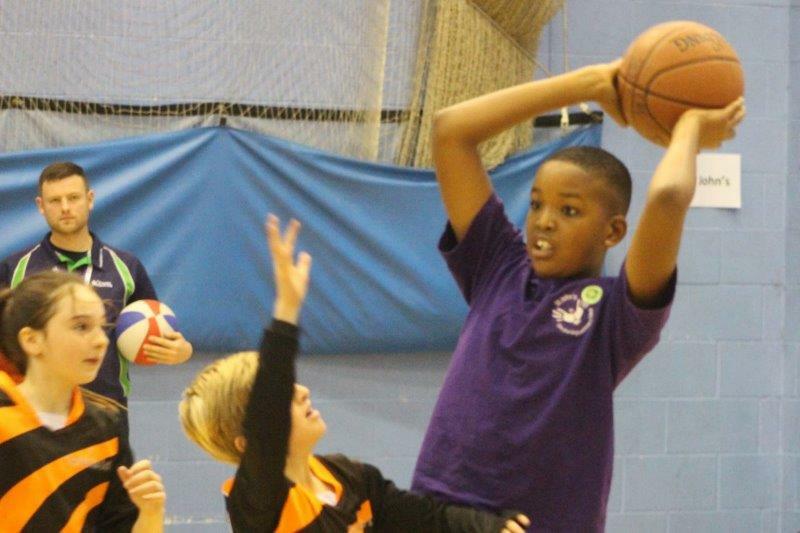 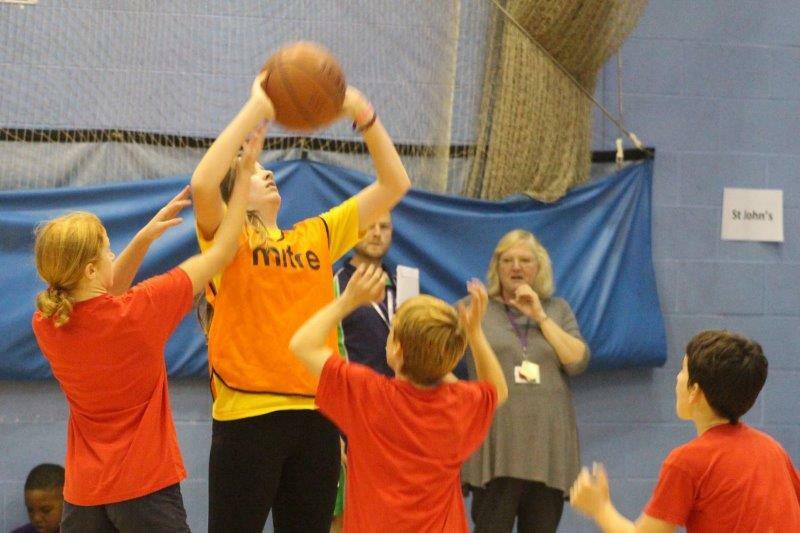 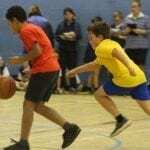 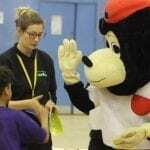 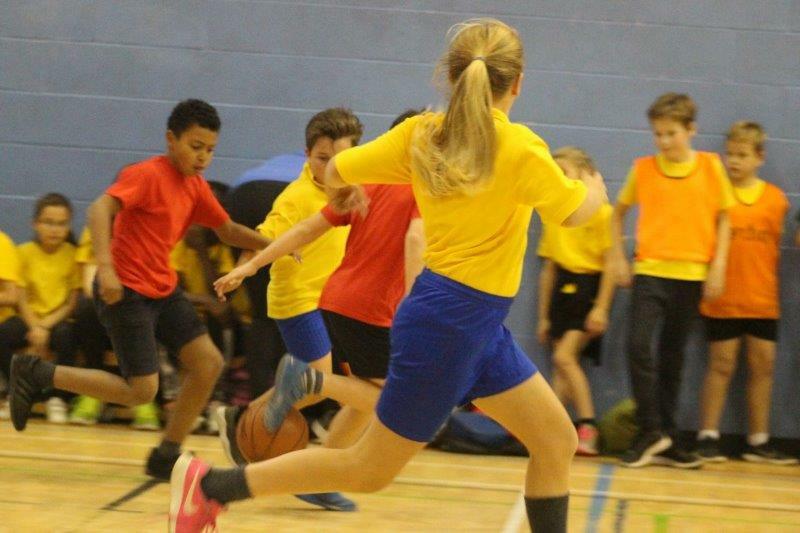 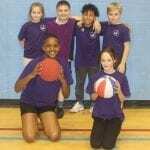 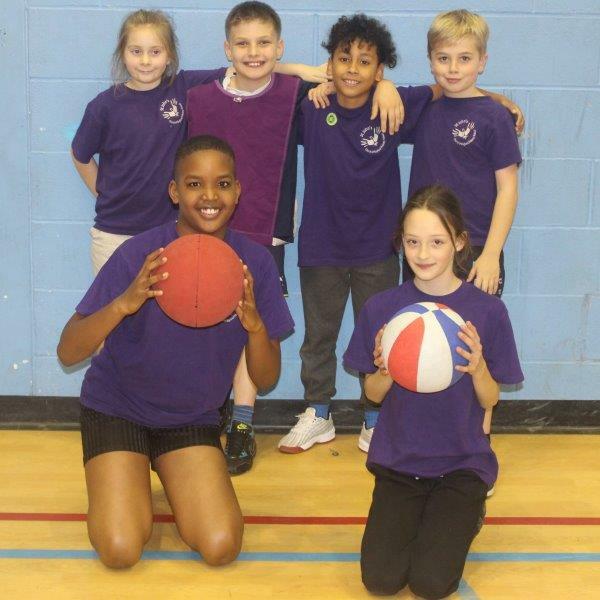 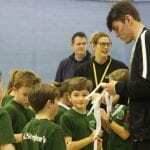 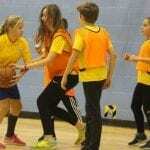 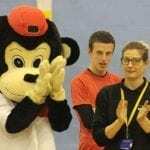 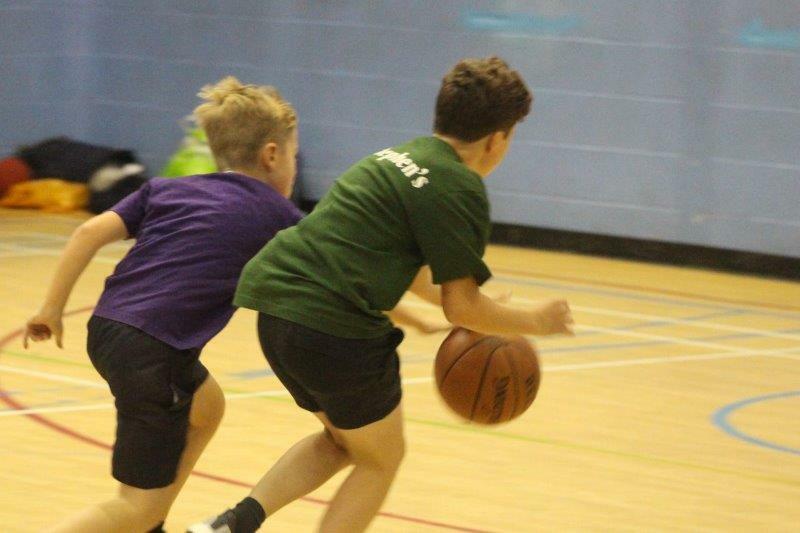 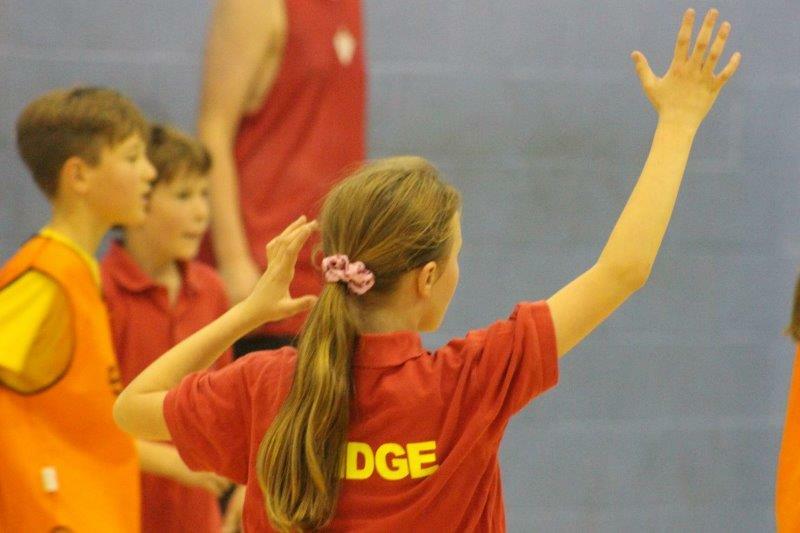 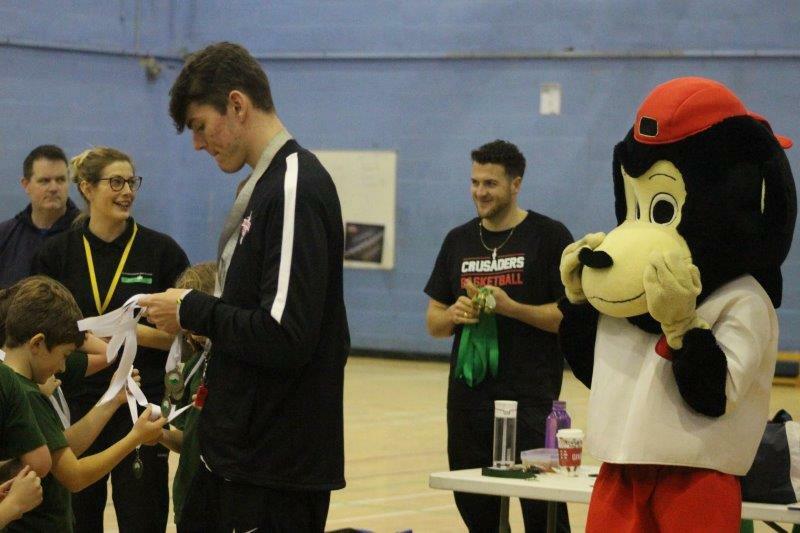 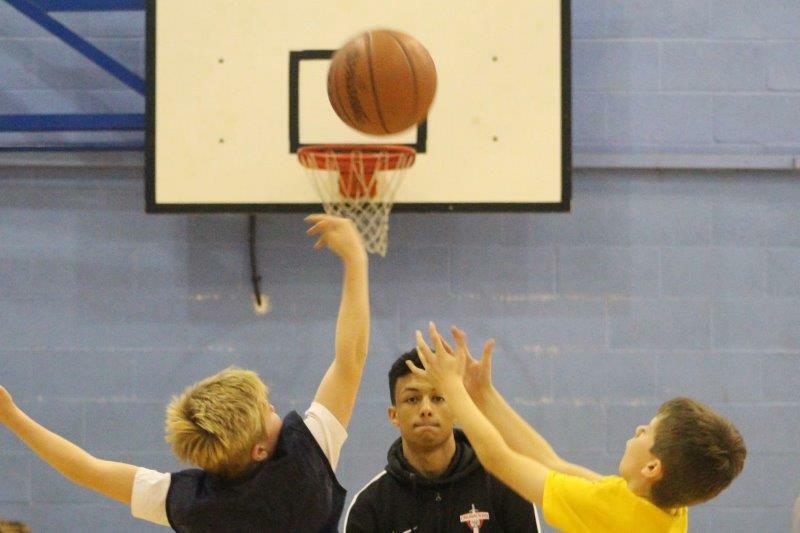 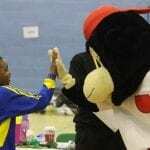 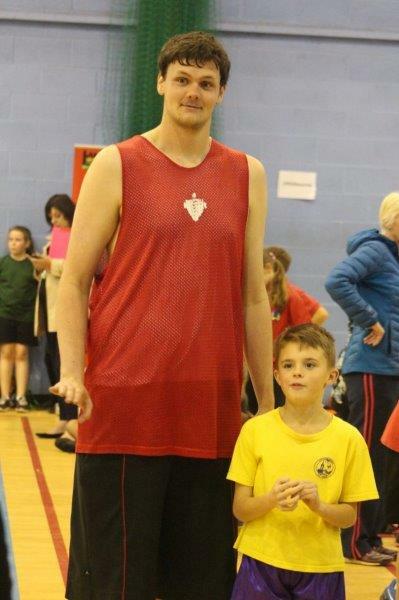 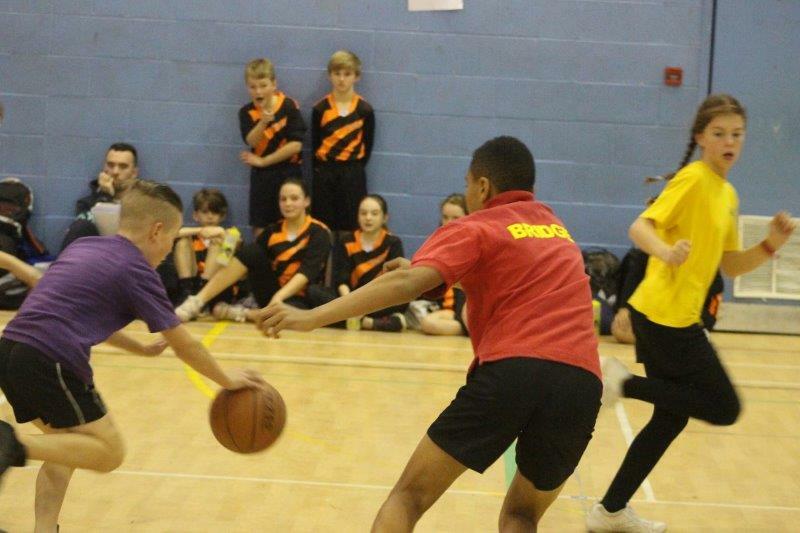 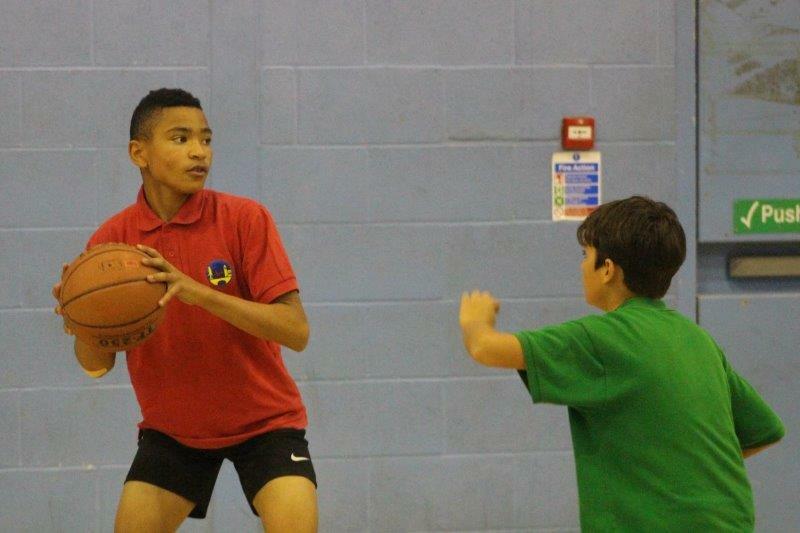 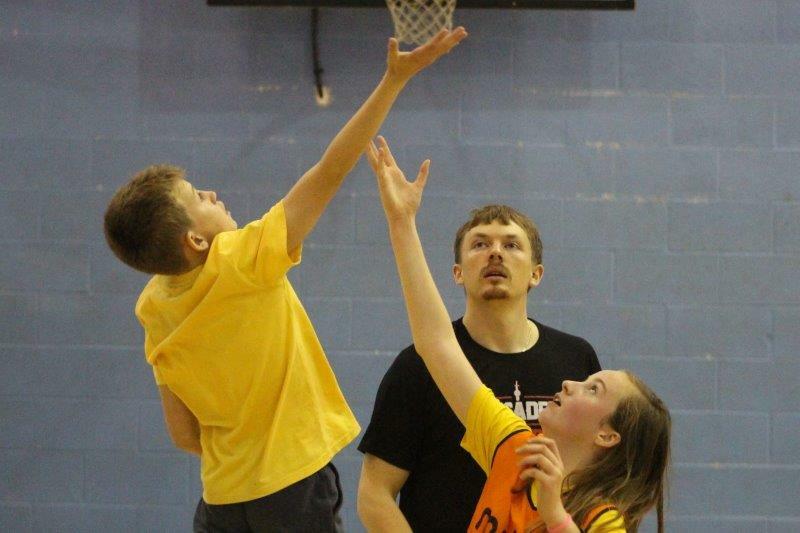 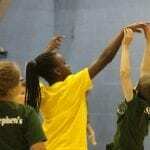 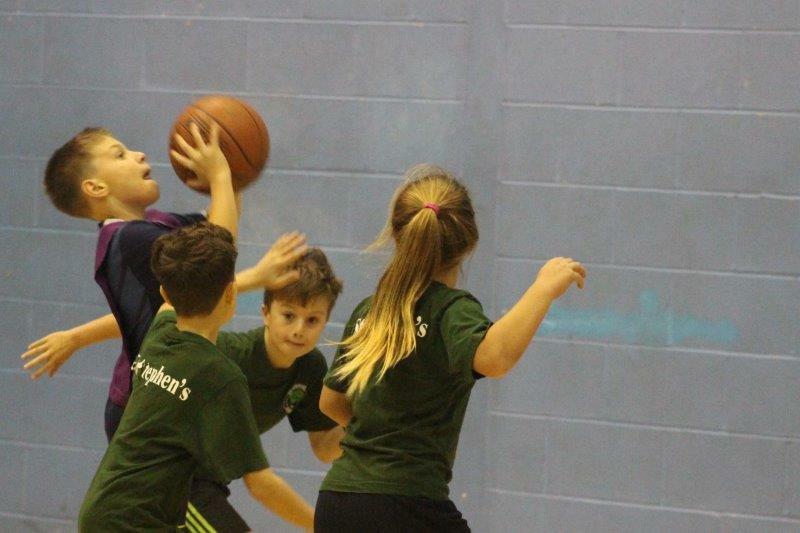 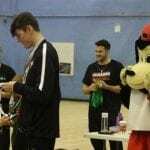 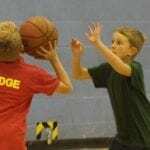 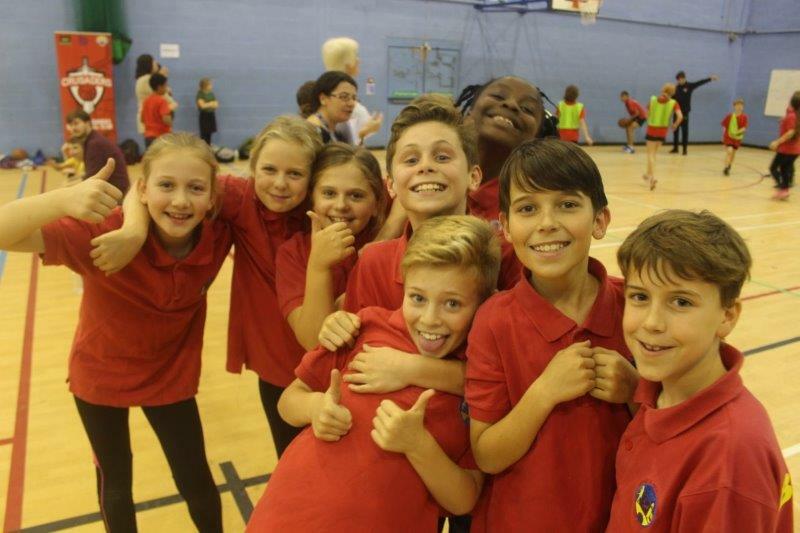 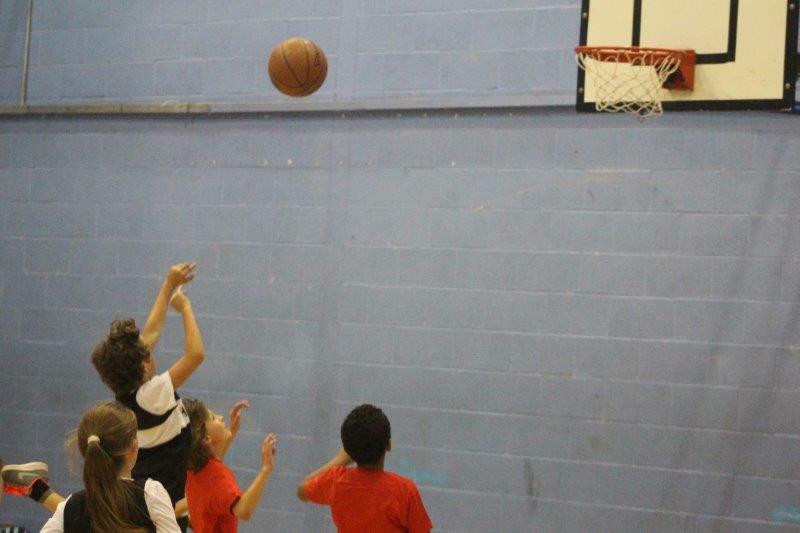 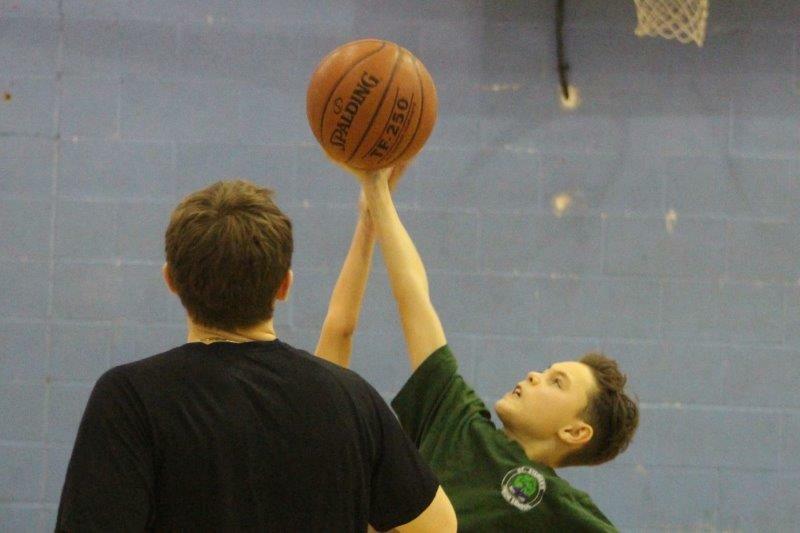 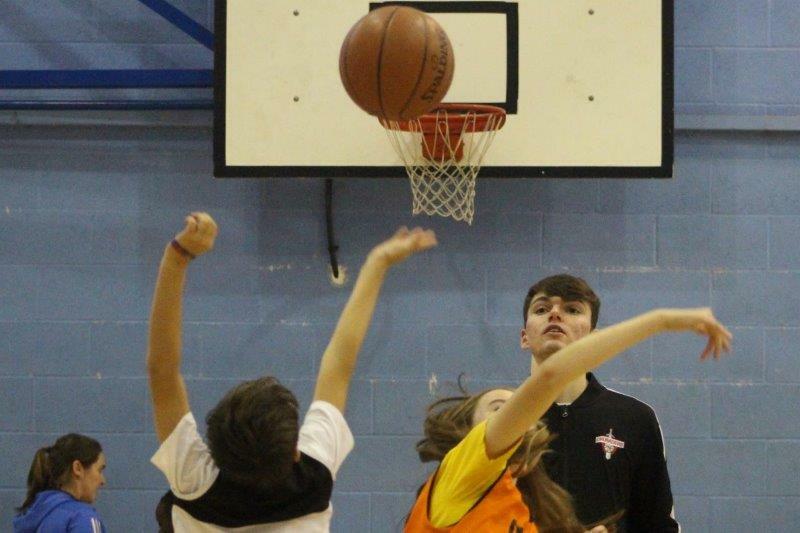 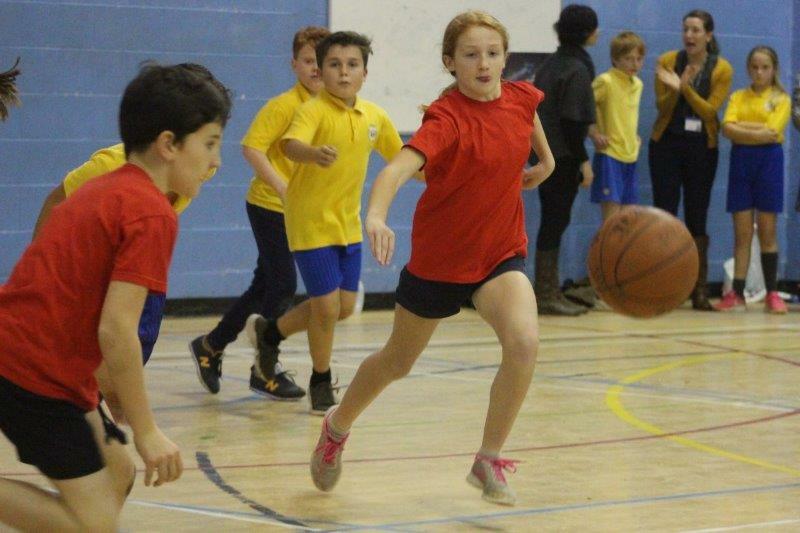 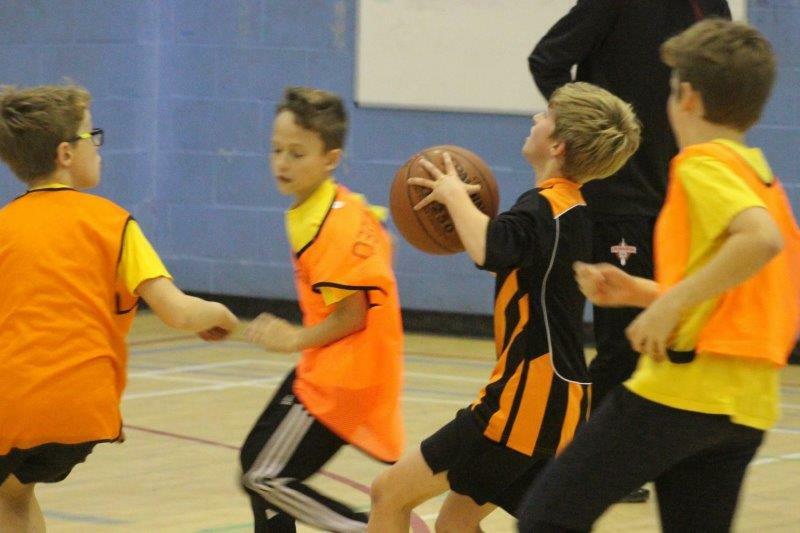 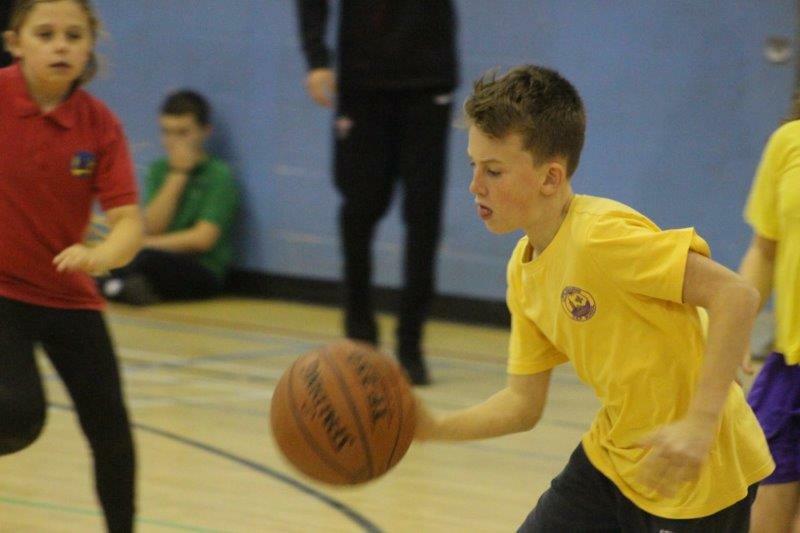 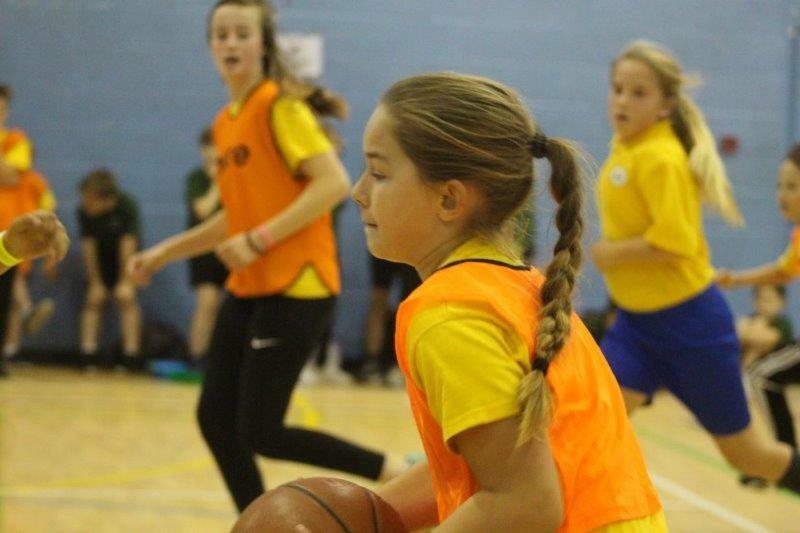 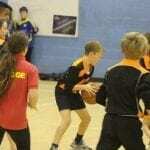 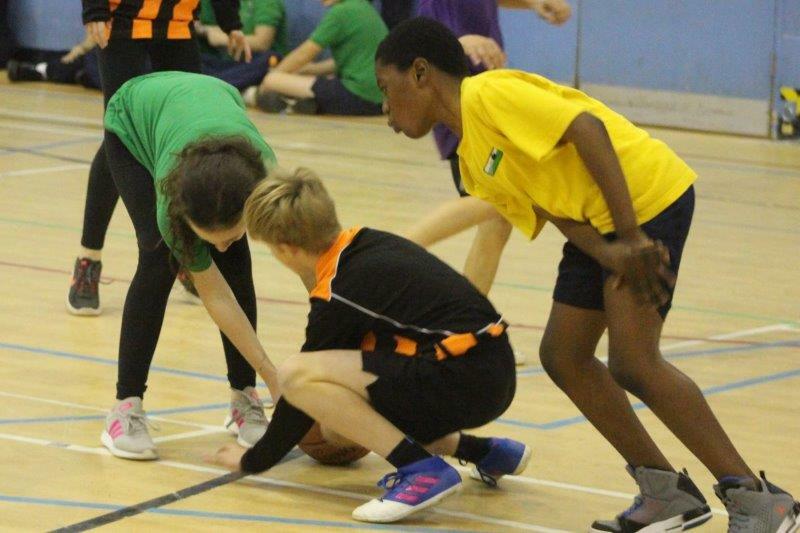 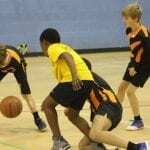 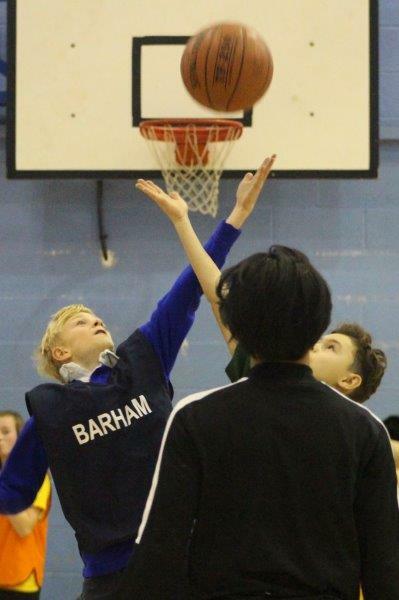 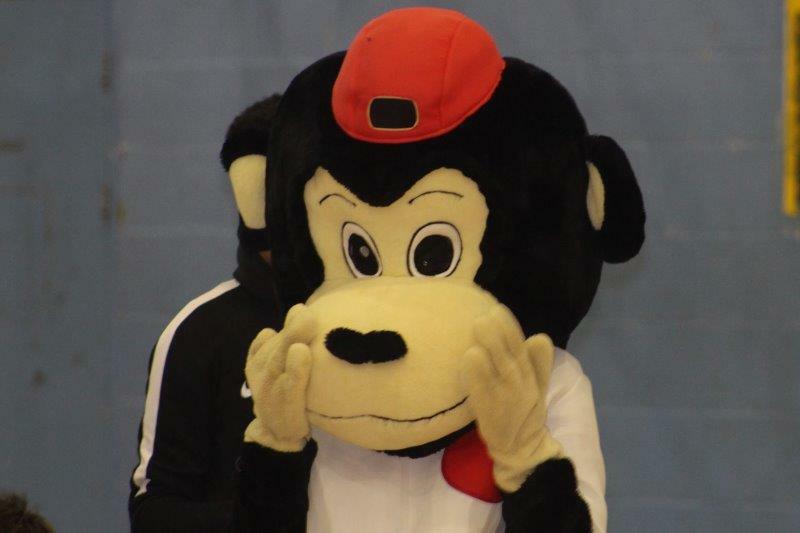 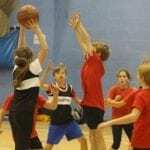 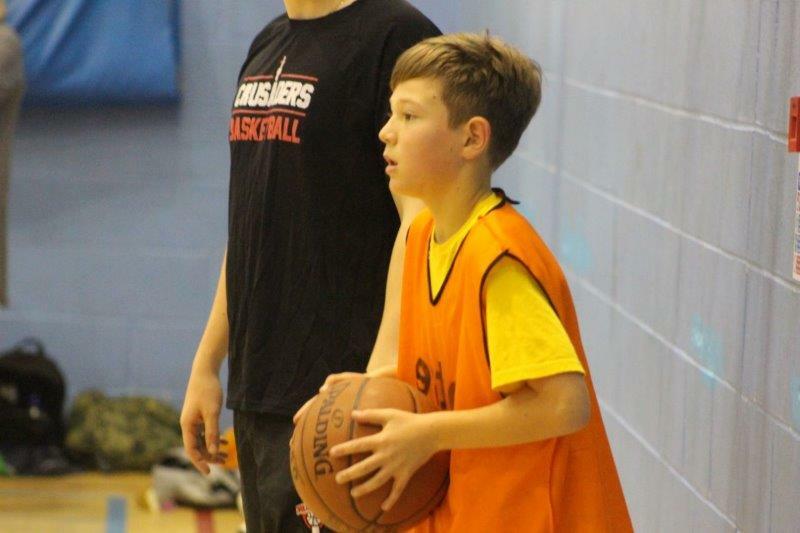 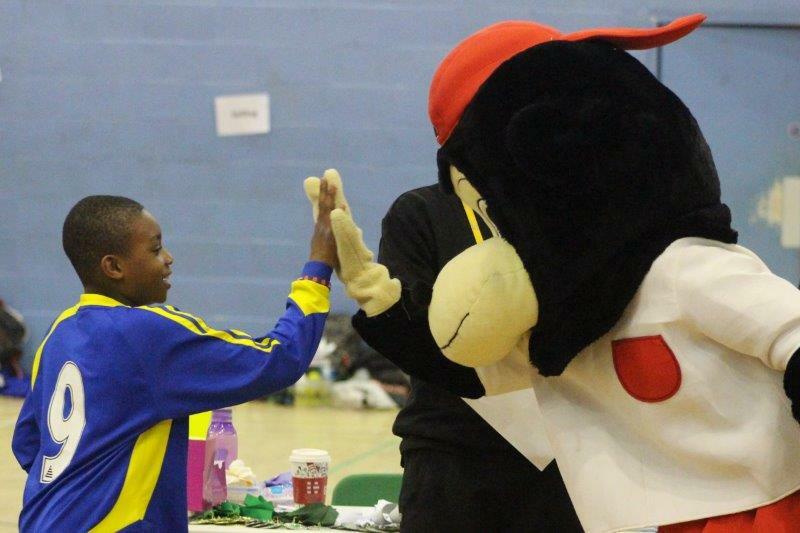 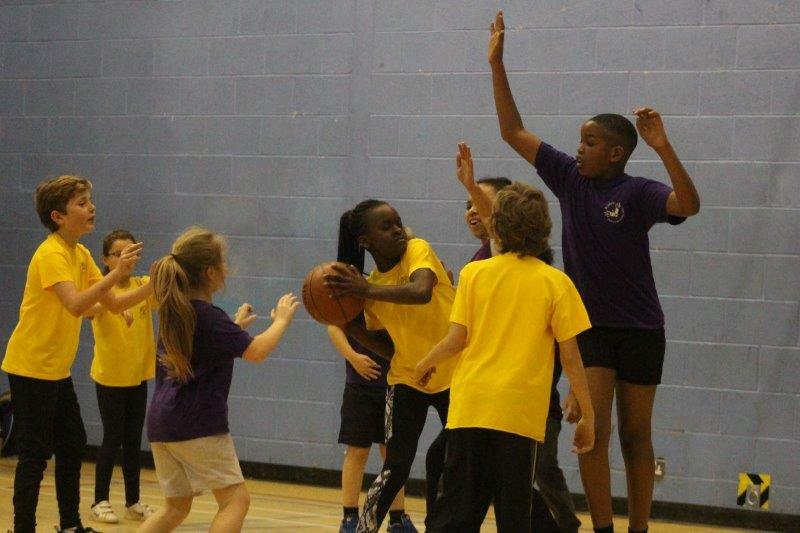 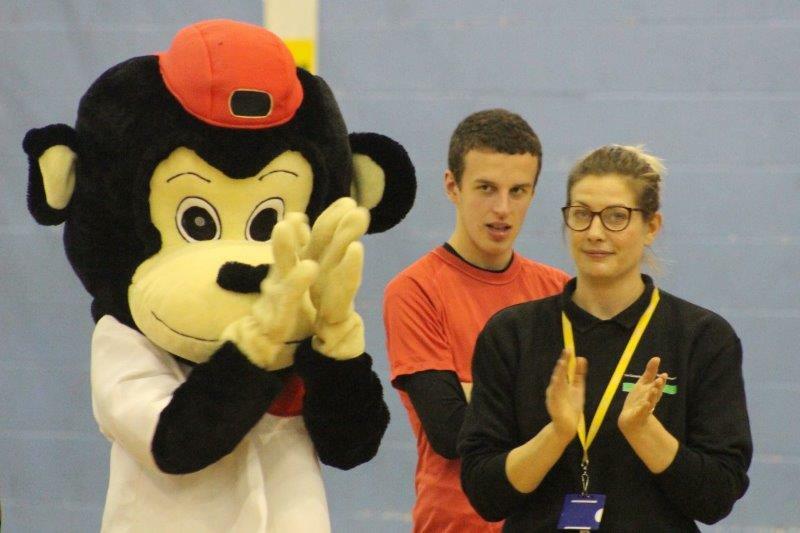 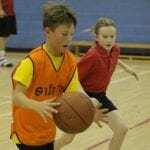 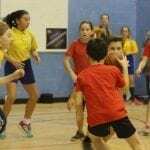 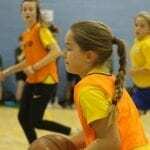 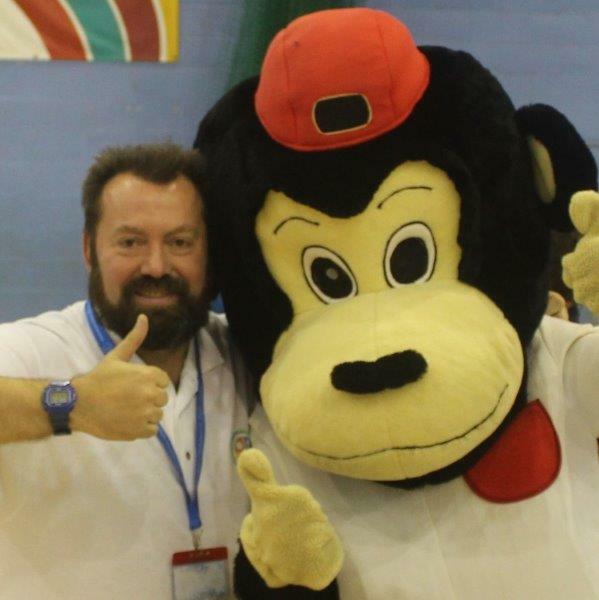 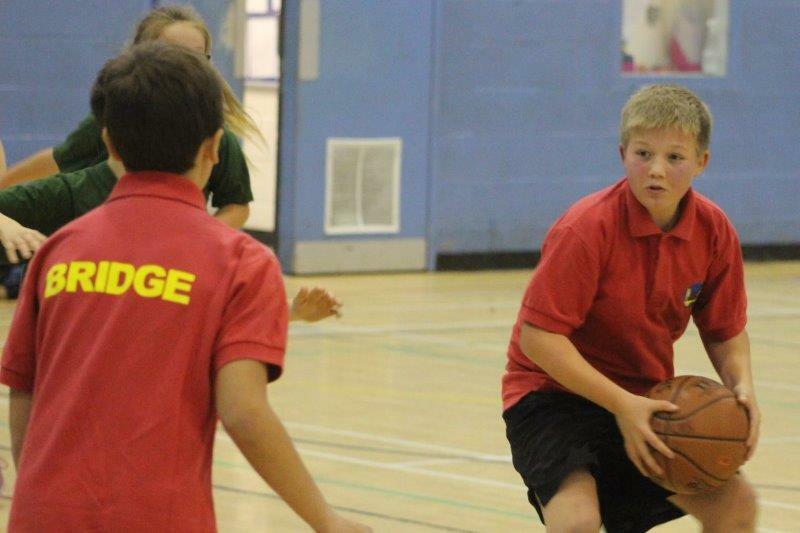 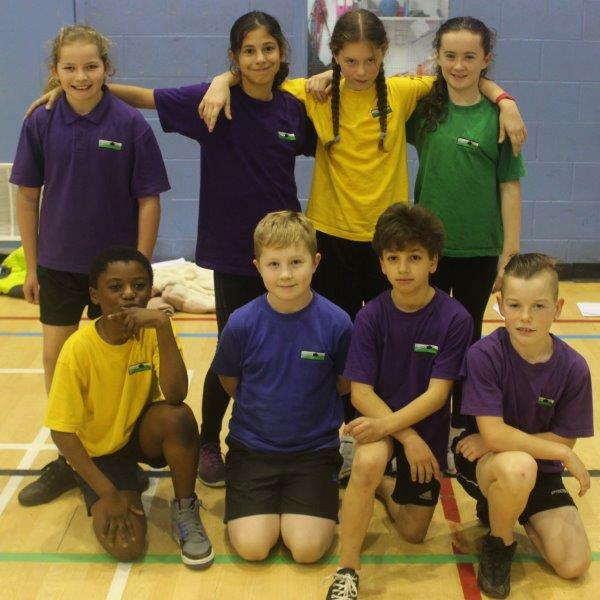 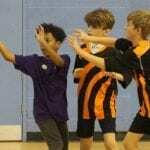 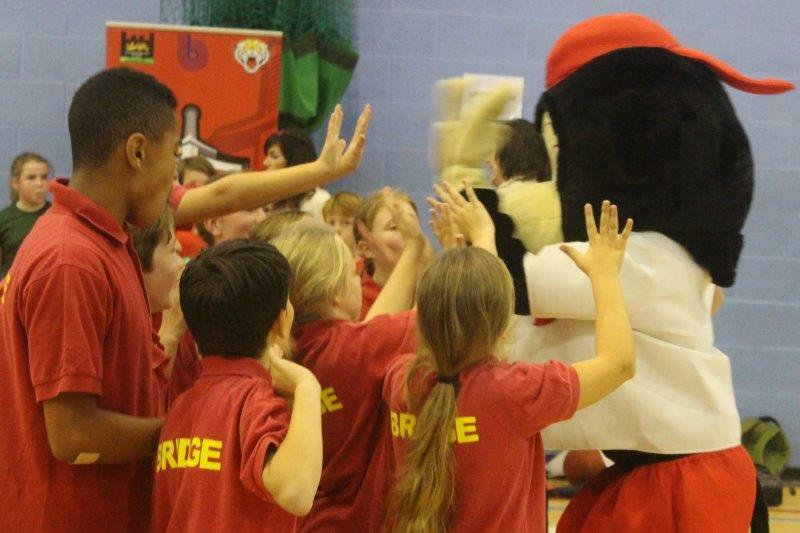 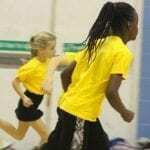 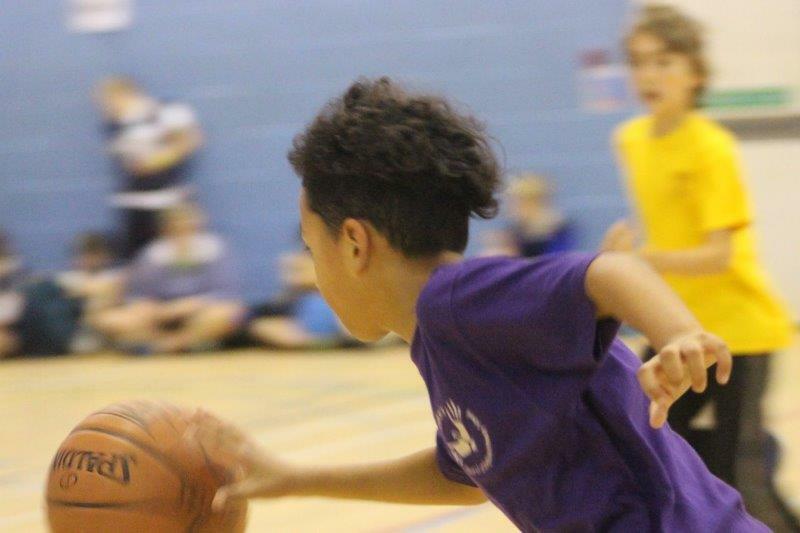 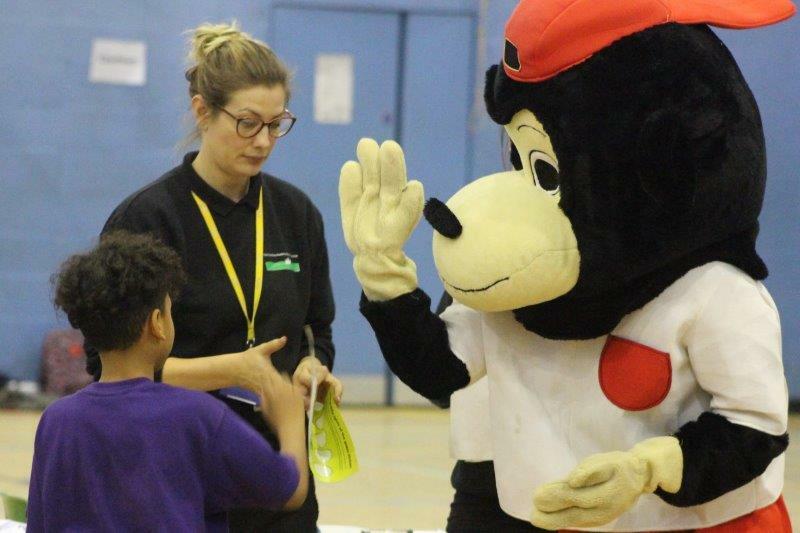 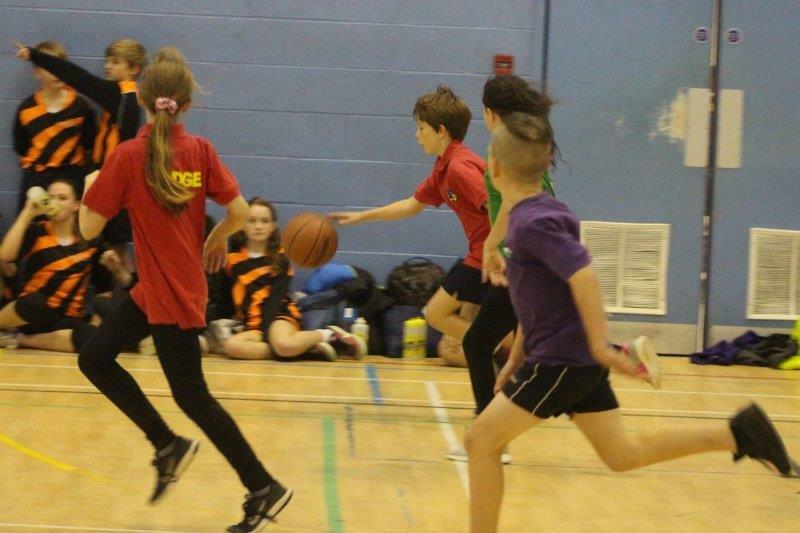 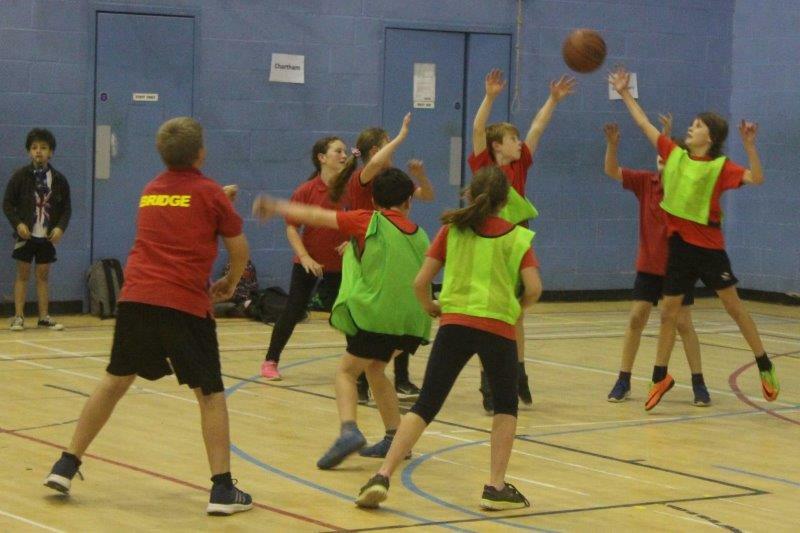 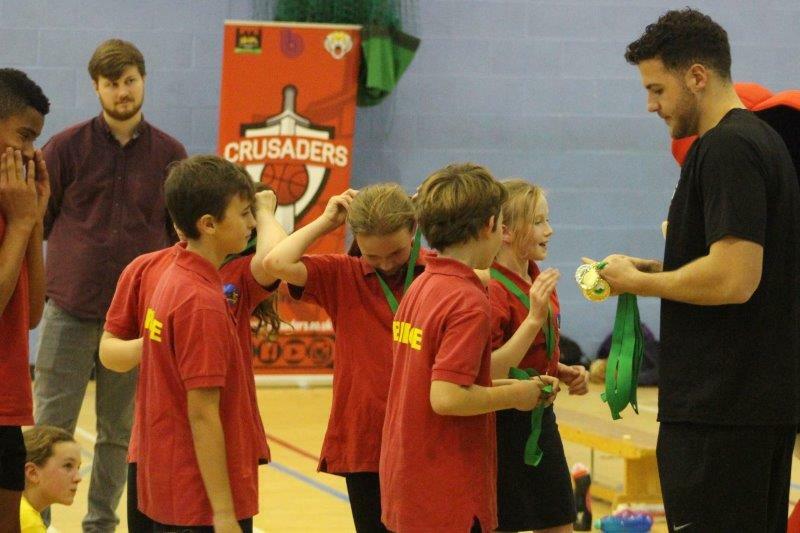 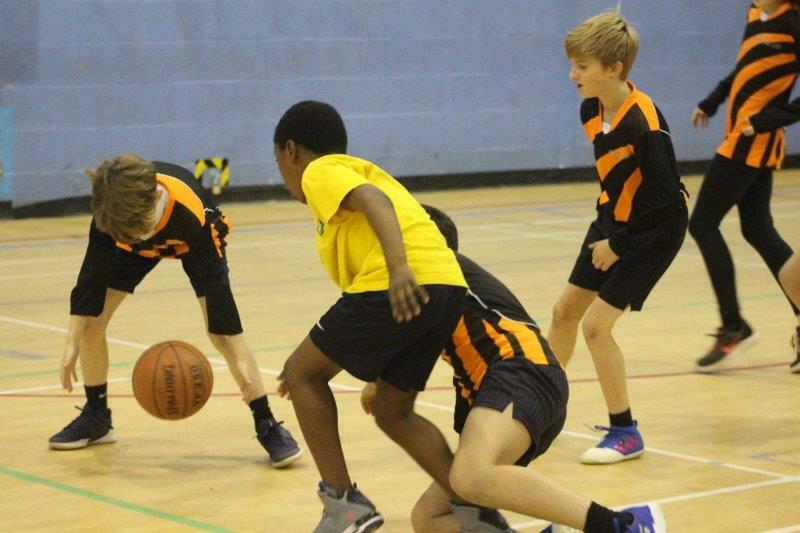 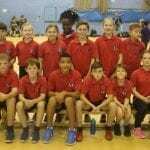 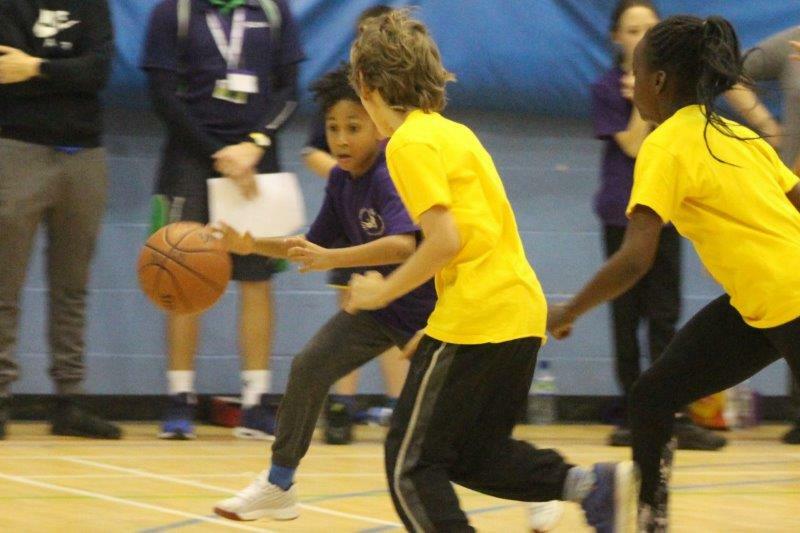 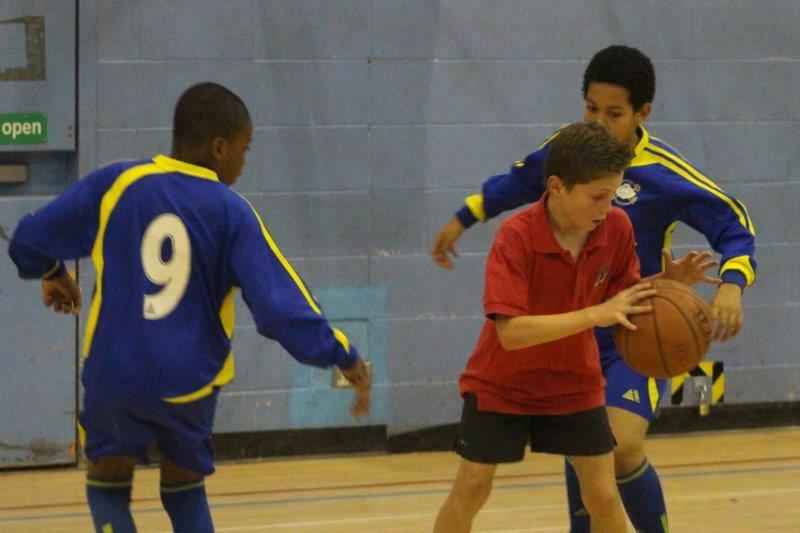 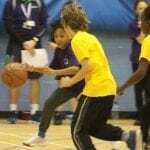 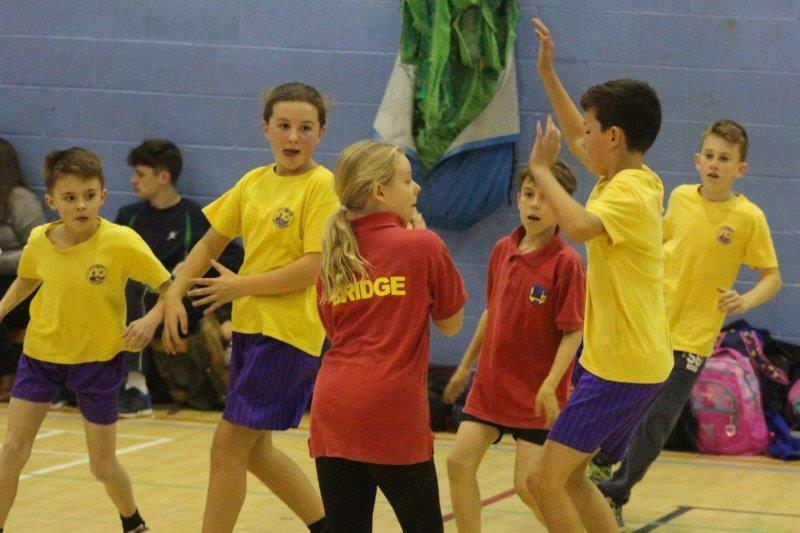 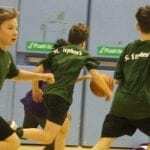 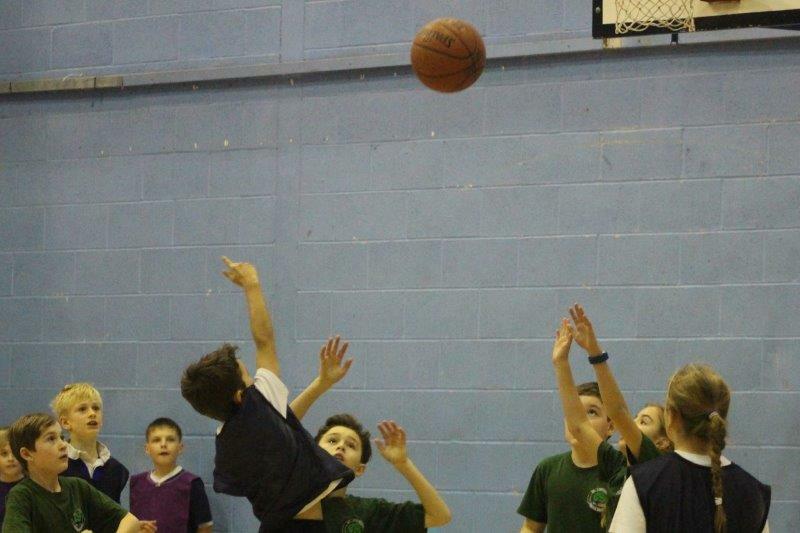 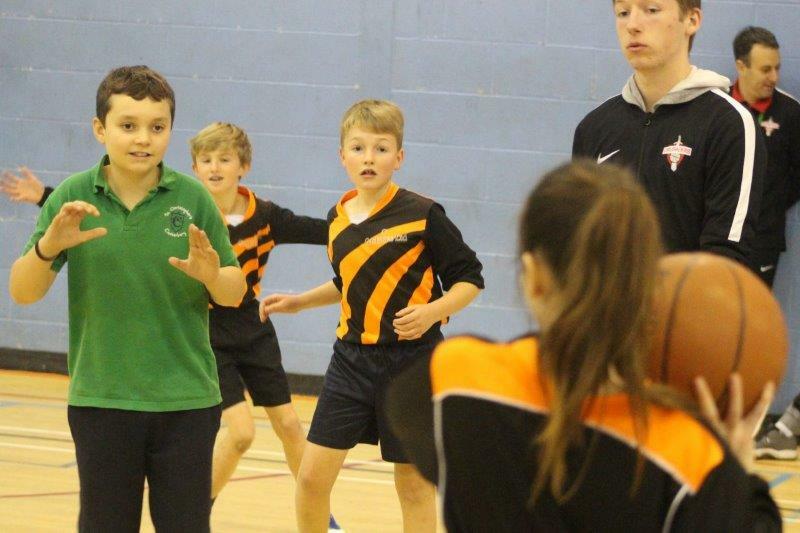 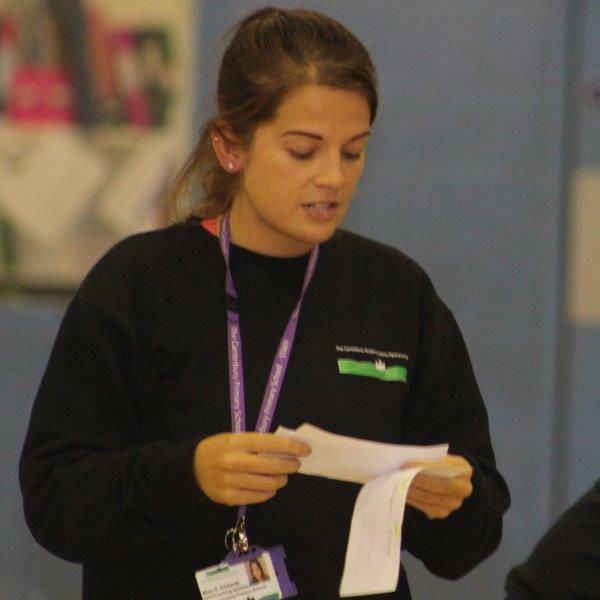 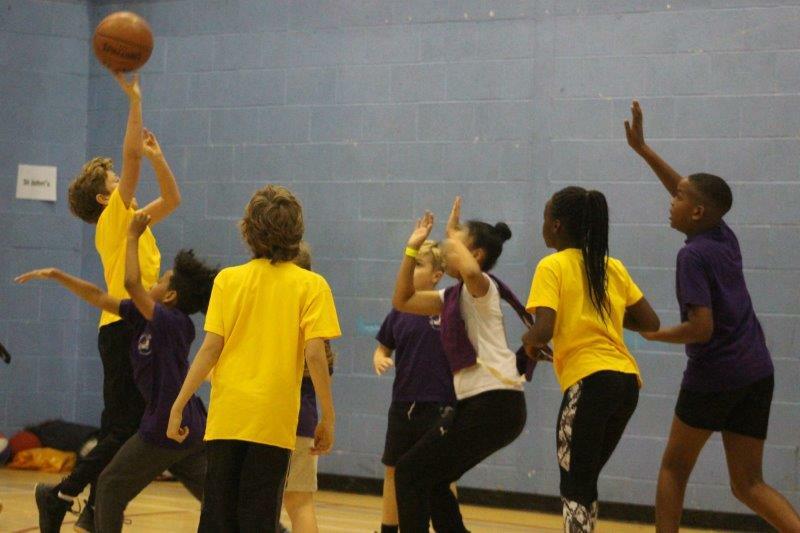 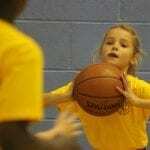 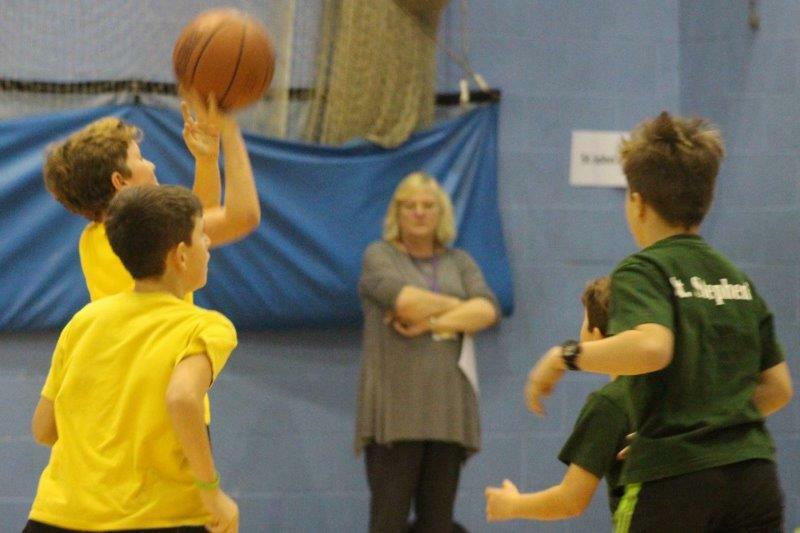 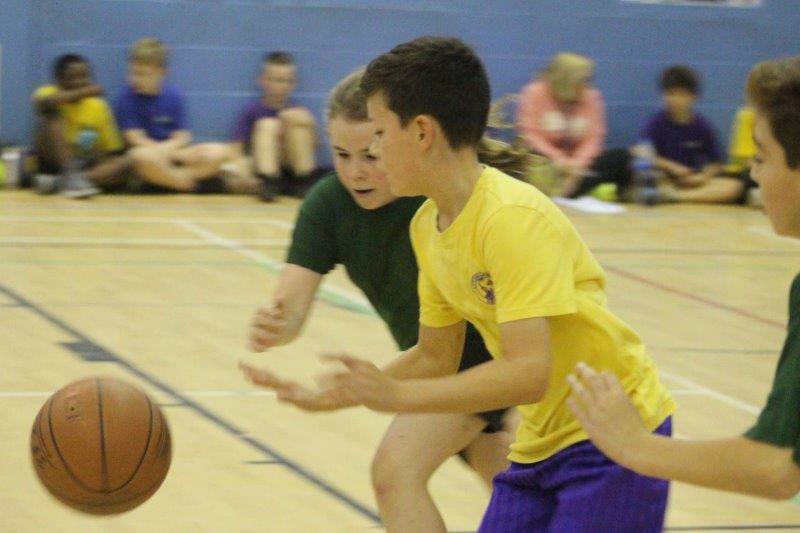 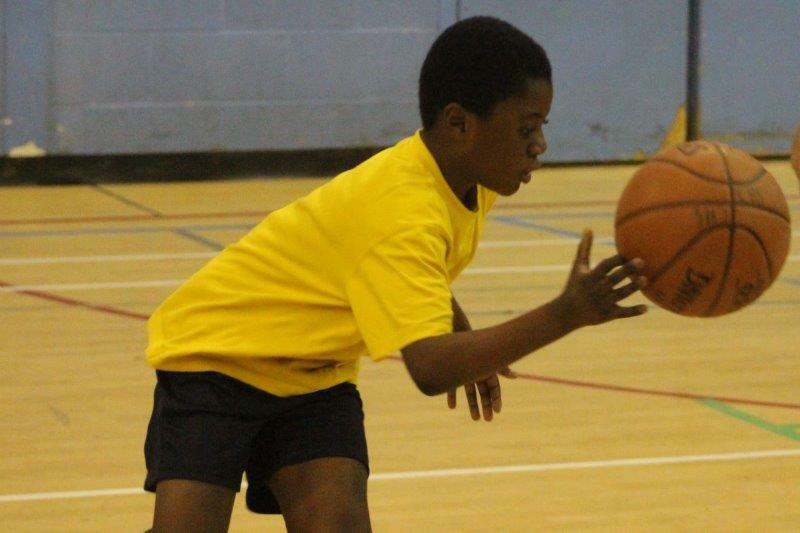 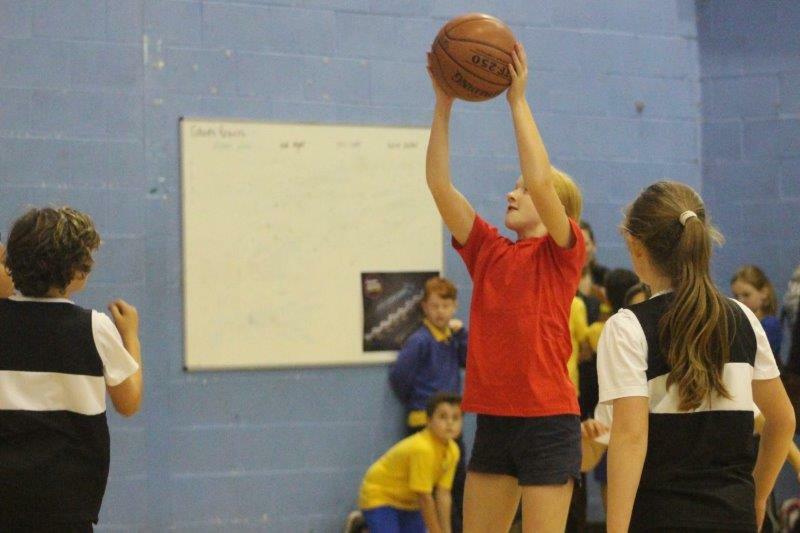 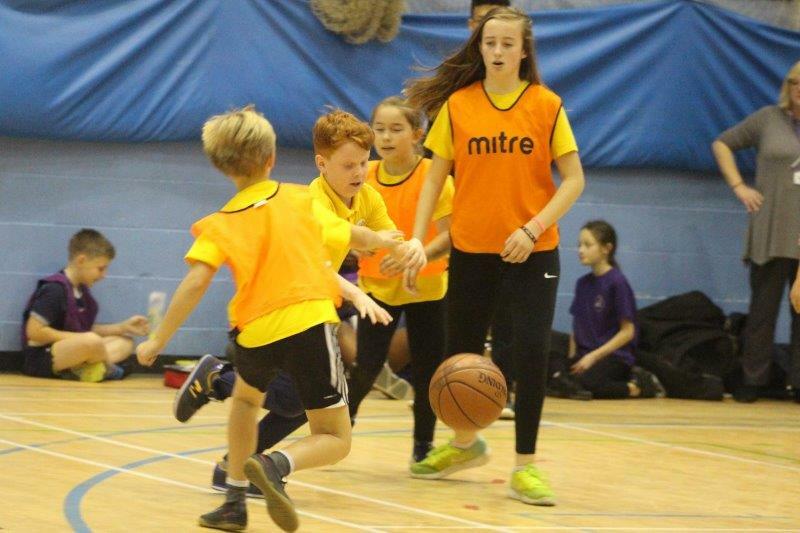 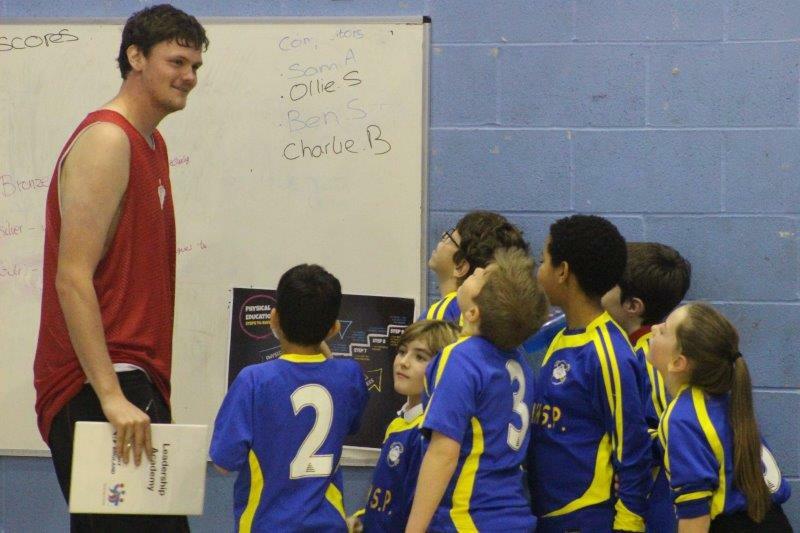 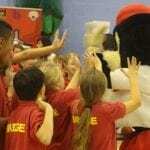 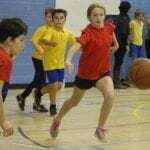 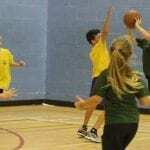 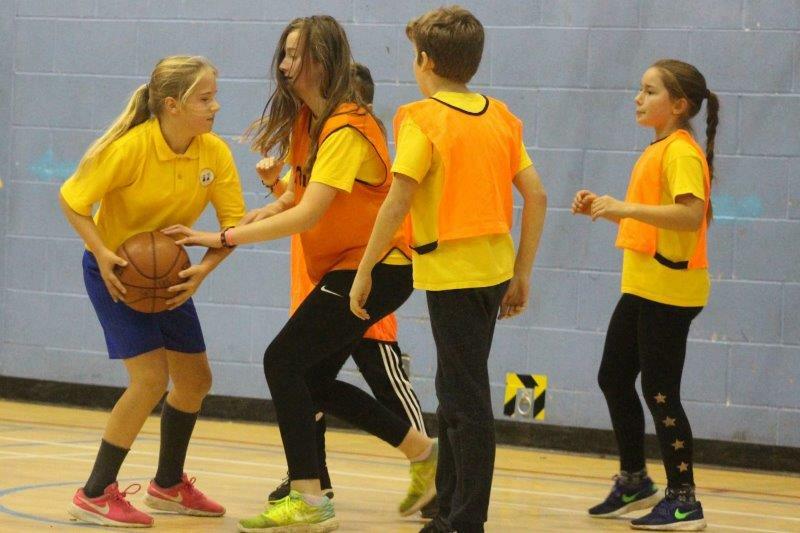 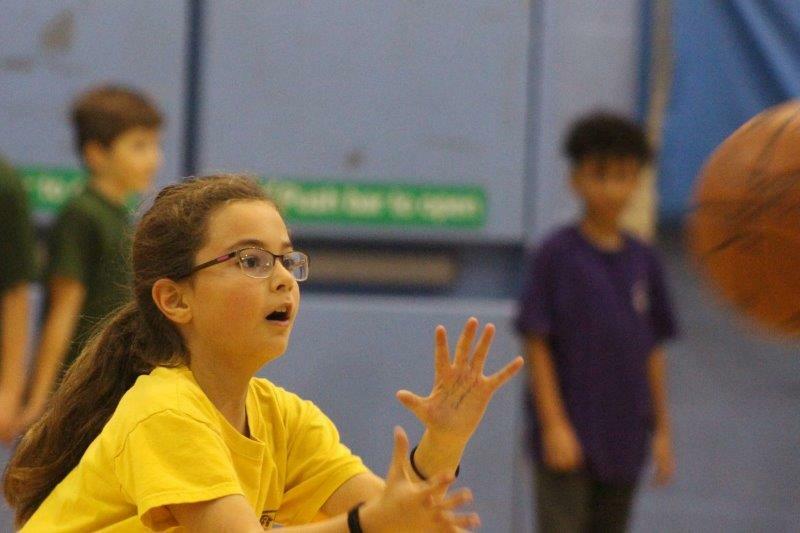 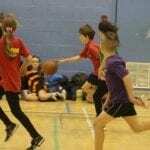 The event was superbly organised by the Canterbury Academy Sports Partnership, with expert assistance from members of the Kent Crusaders Basketball Club. 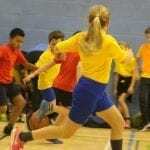 As I arrived, the teams were well into their warm-ups and it was evident that they were taking the competition seriously. 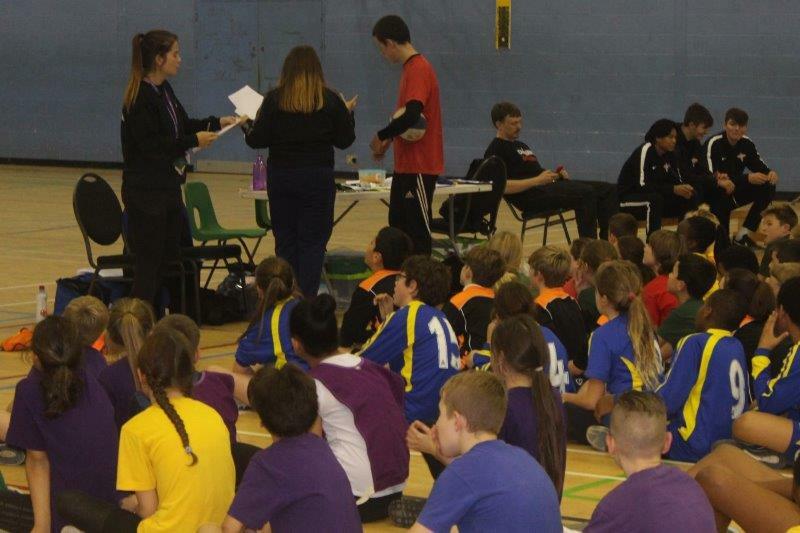 The young competitors then huddled around their teachers and coaches as they received their final team talks before the tournament started. 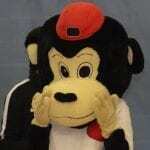 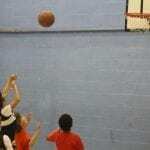 The afternoon seemed to fly by, such was the frenetic nature of the event – I was worn out just watching. 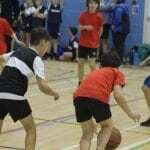 Two games ran simultaneously while the other teams made the most of their brief rest periods before preparing to take to the court again. 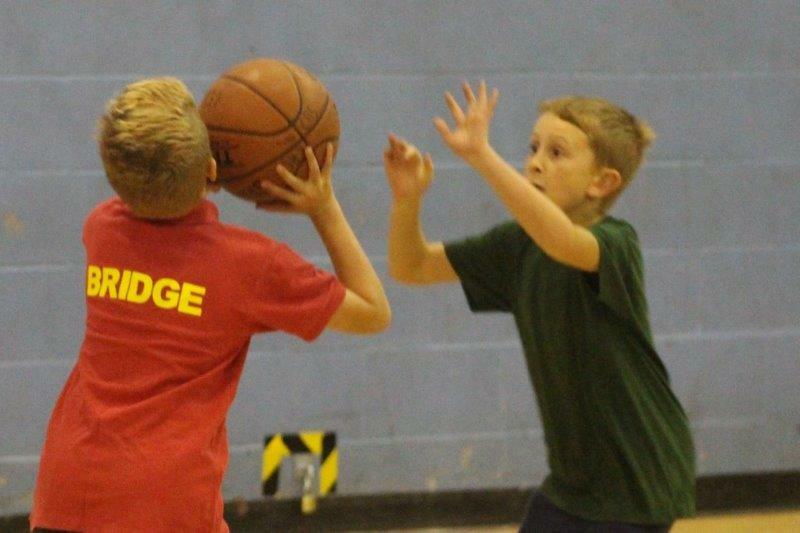 At the end of the final group games it was all very close. 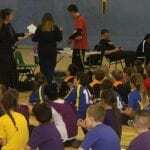 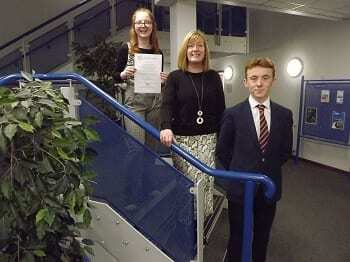 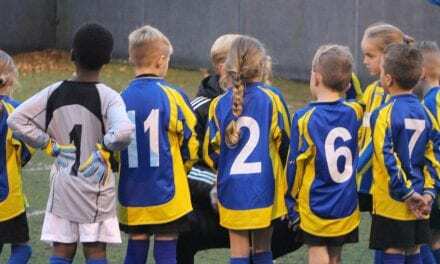 The positions were announced and the teams were informed who had made it to the knock out section. 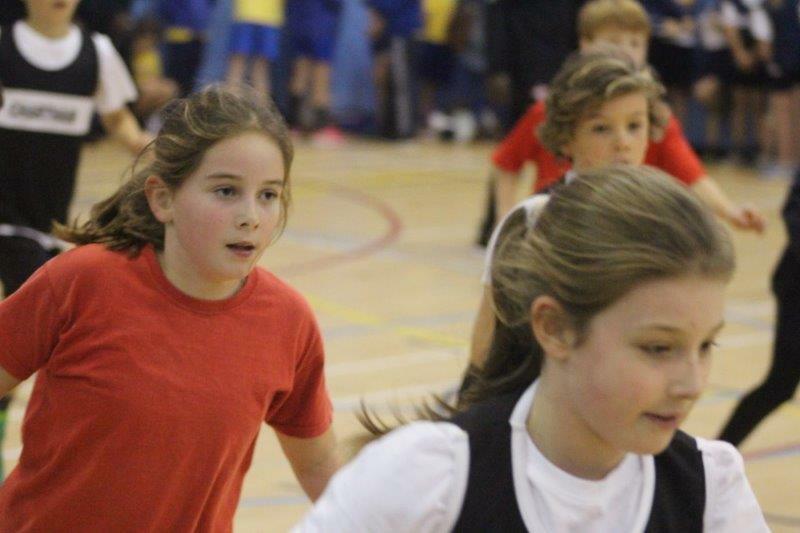 Although clearly tired, every single team seemed to ‘up their game’ as they went back out onto court for what could be the last time. 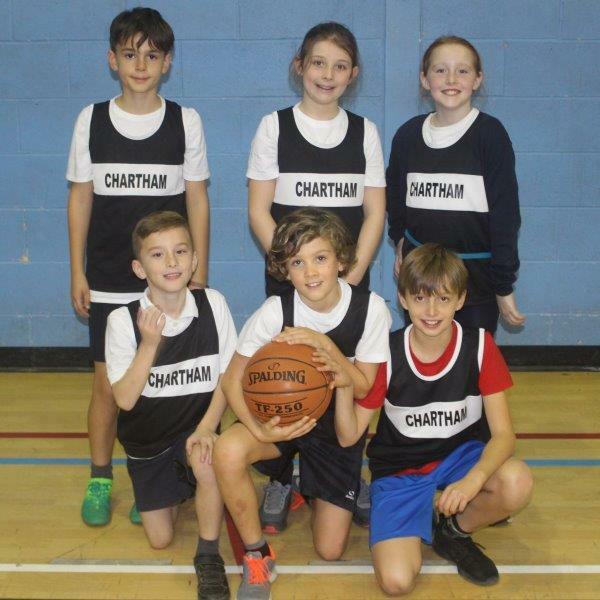 As some teams progressed, others were knocked out and we were eventually left with ‘Bridge A’ playing ‘Blean A’ in the grand final with ‘St Stephens’ and ‘Littlebourne’ battling it out for third place. 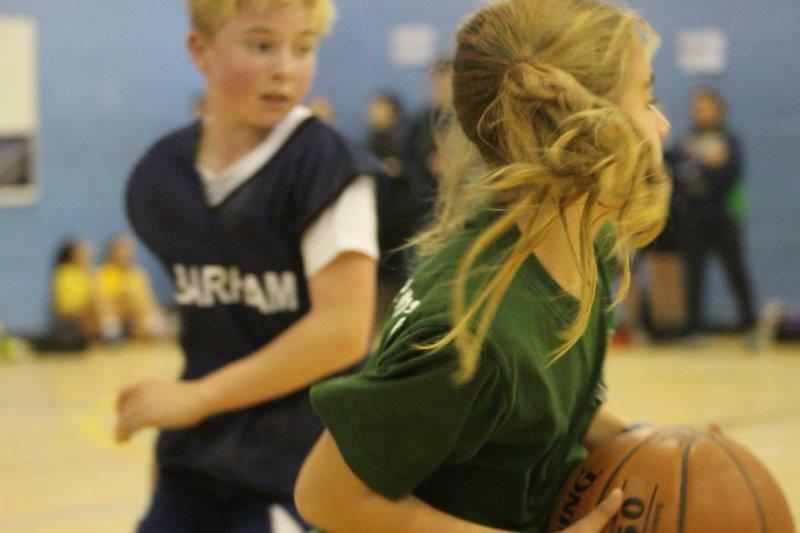 Both games were extremely hard fought and the level of play was impressive. 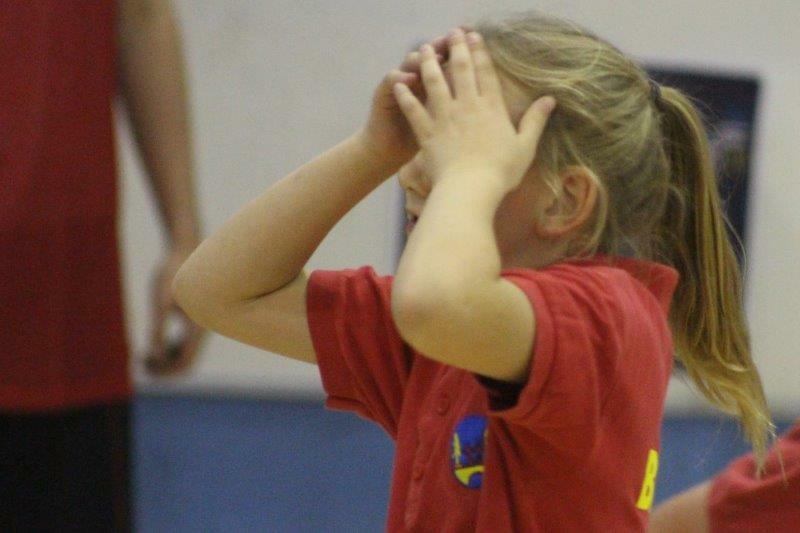 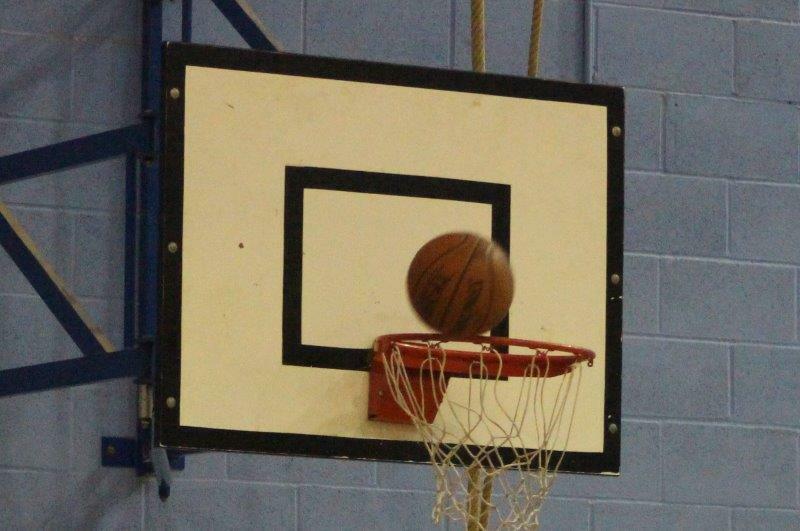 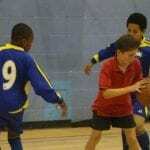 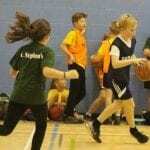 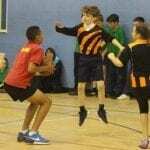 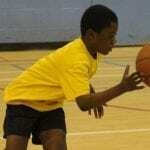 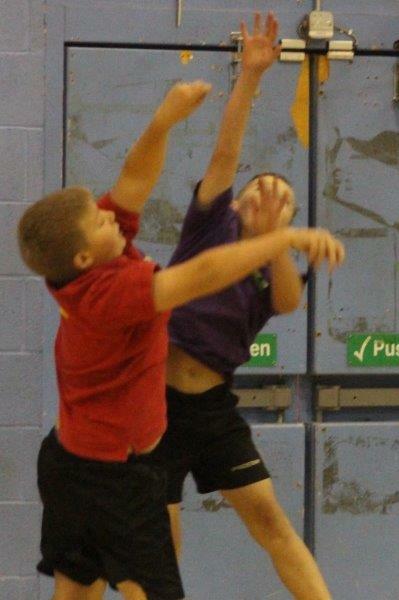 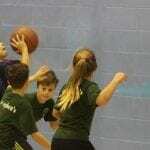 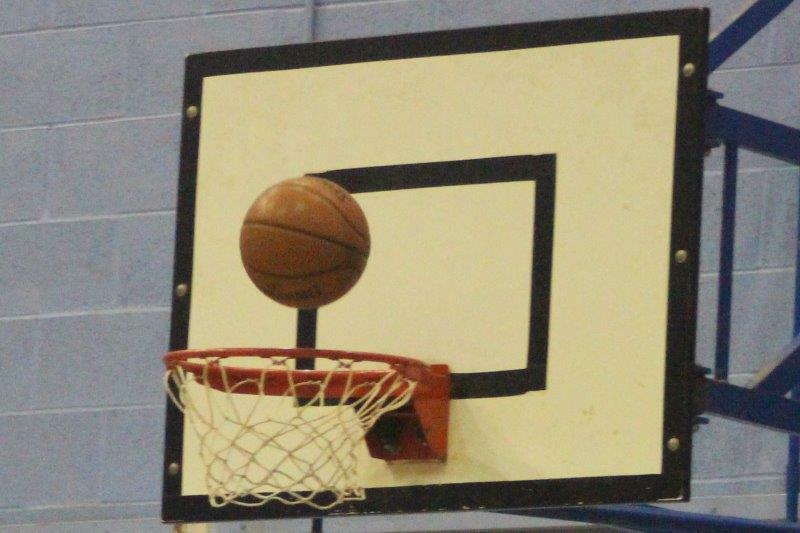 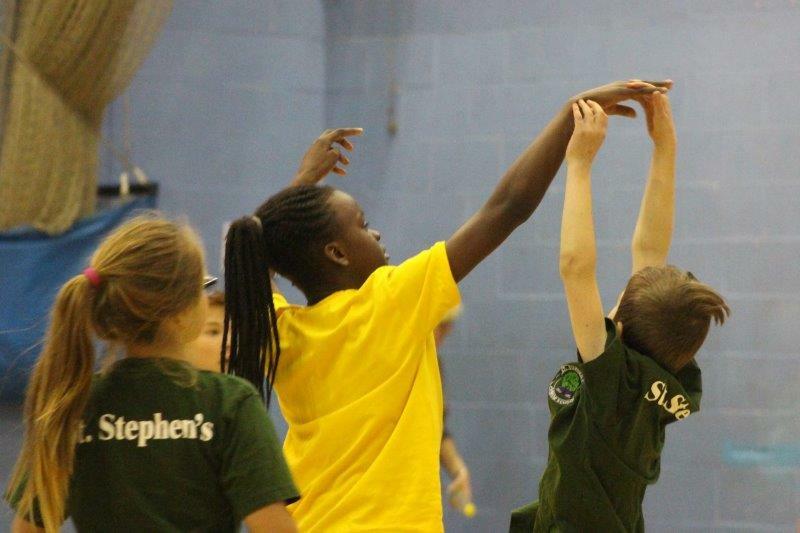 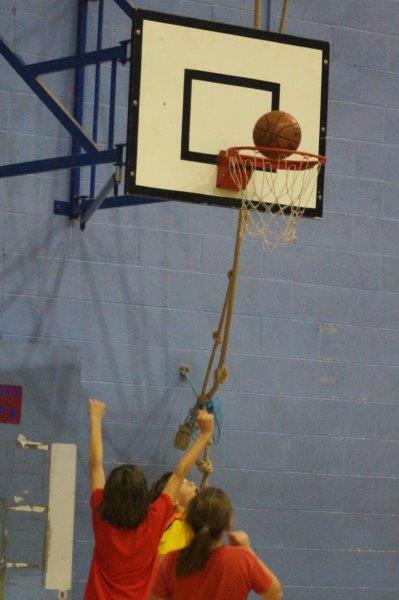 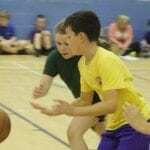 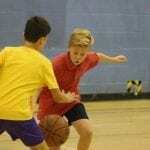 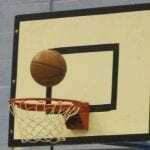 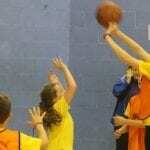 St Stephen’s and Littlebourne ended the game all square and so the ‘Golden Basket’ rule was applied. 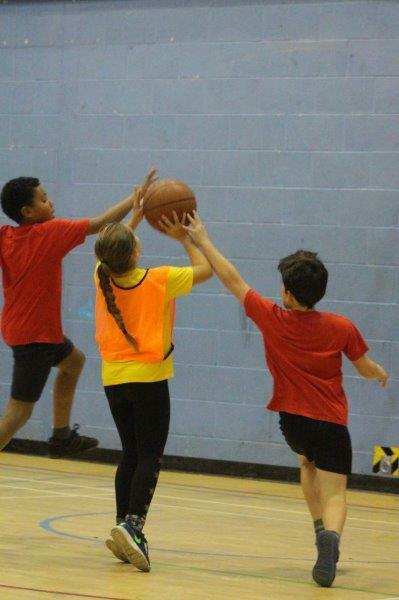 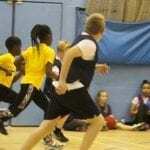 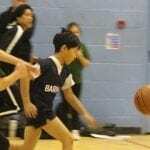 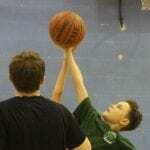 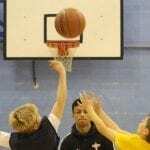 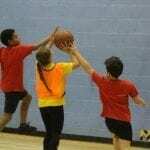 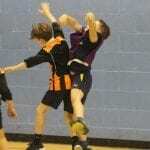 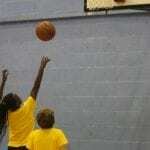 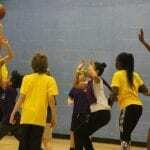 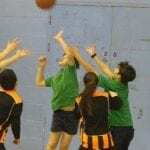 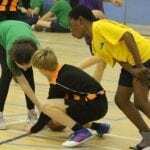 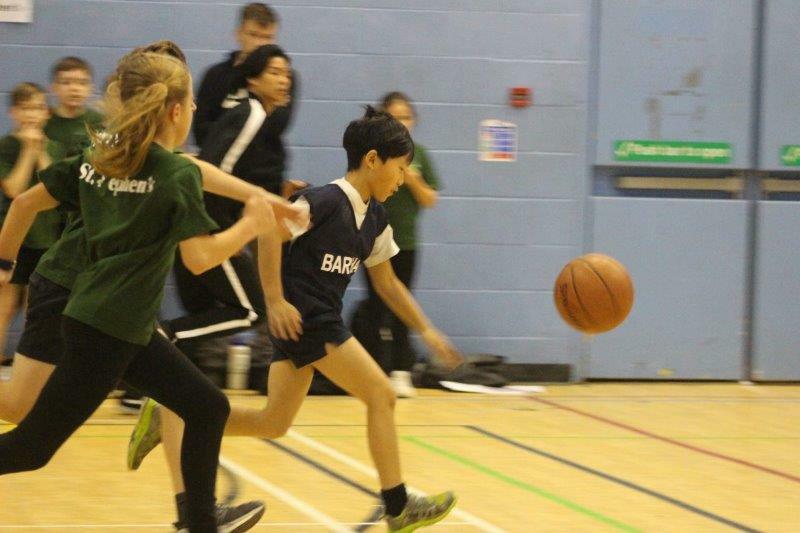 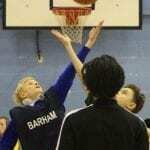 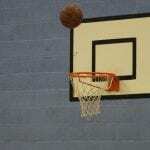 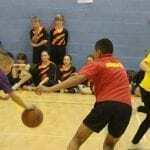 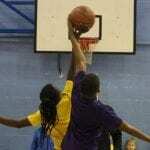 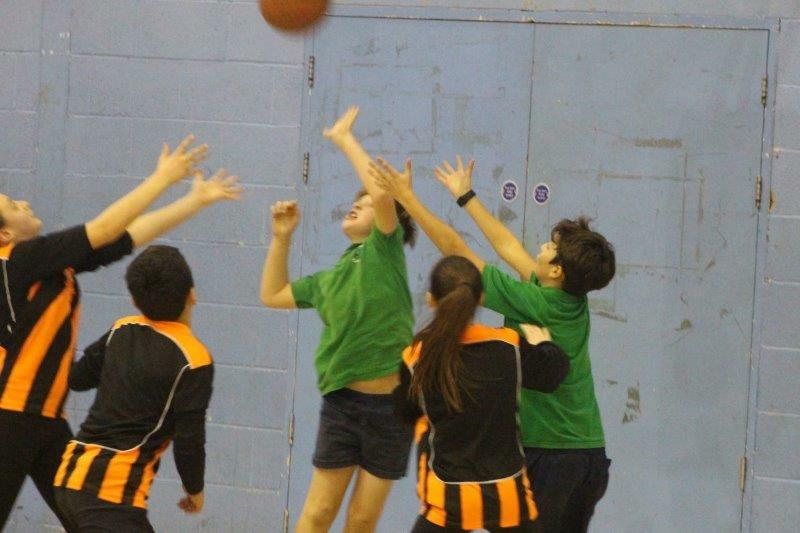 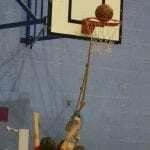 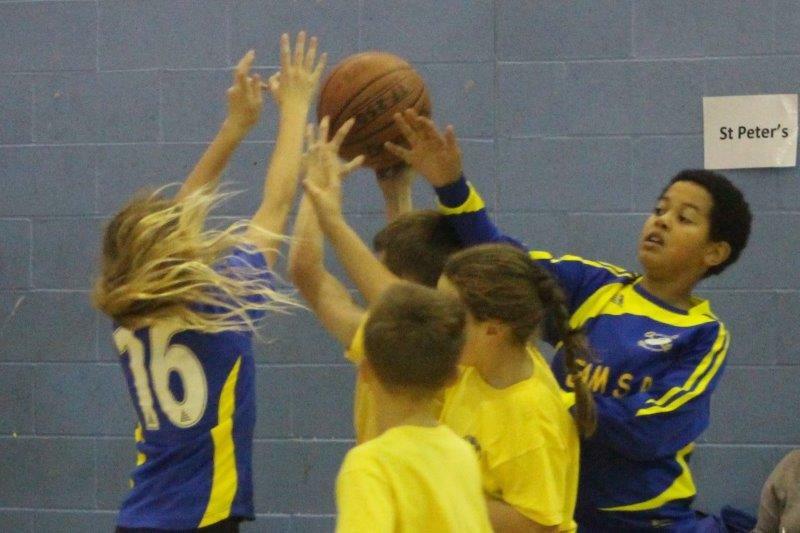 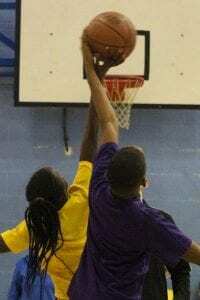 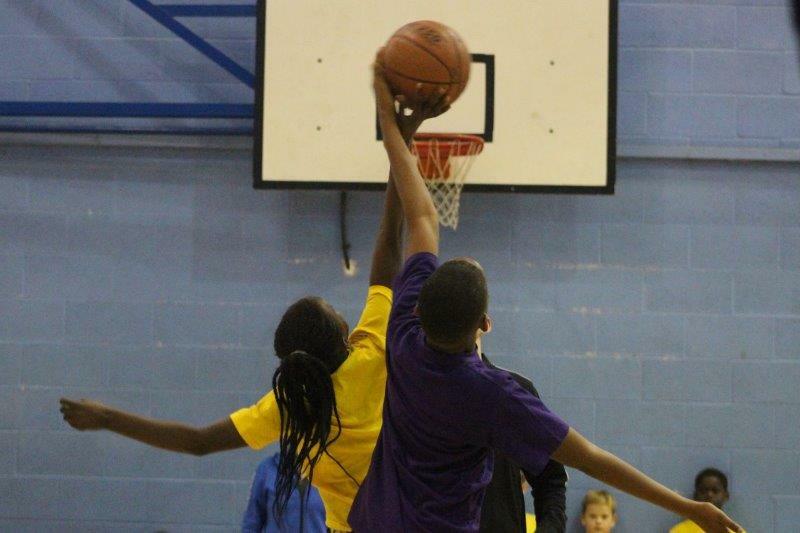 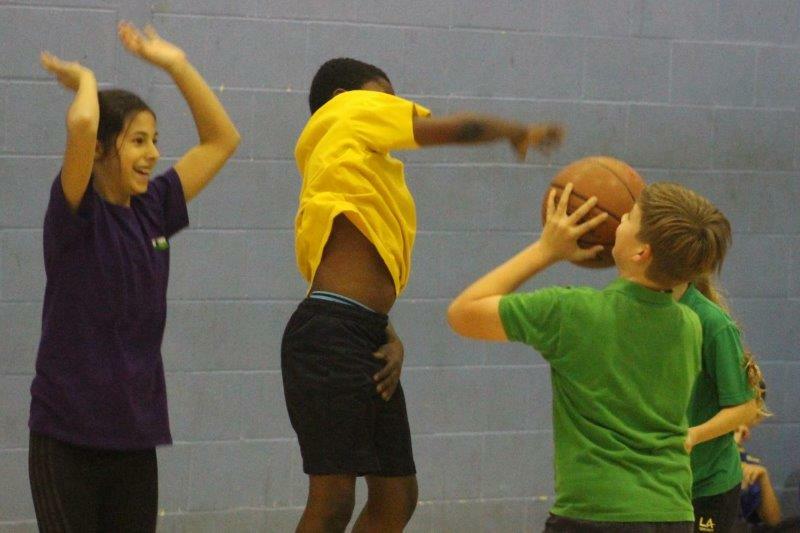 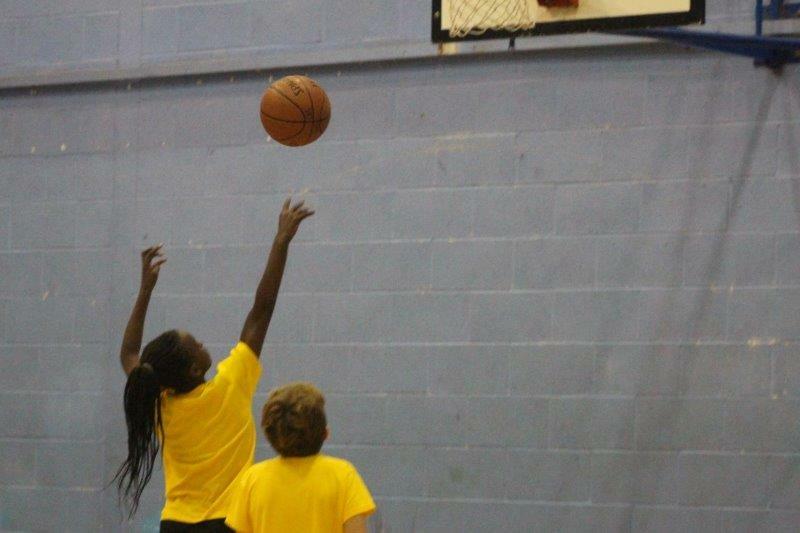 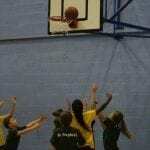 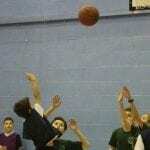 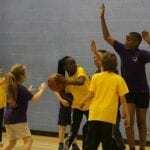 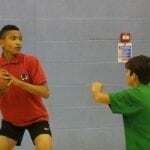 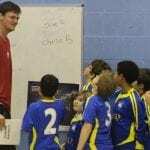 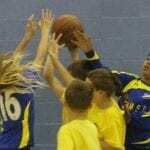 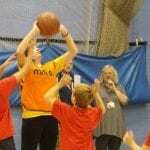 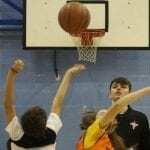 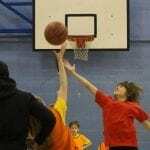 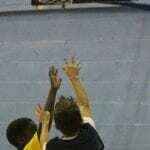 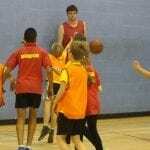 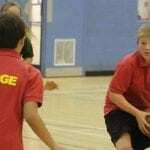 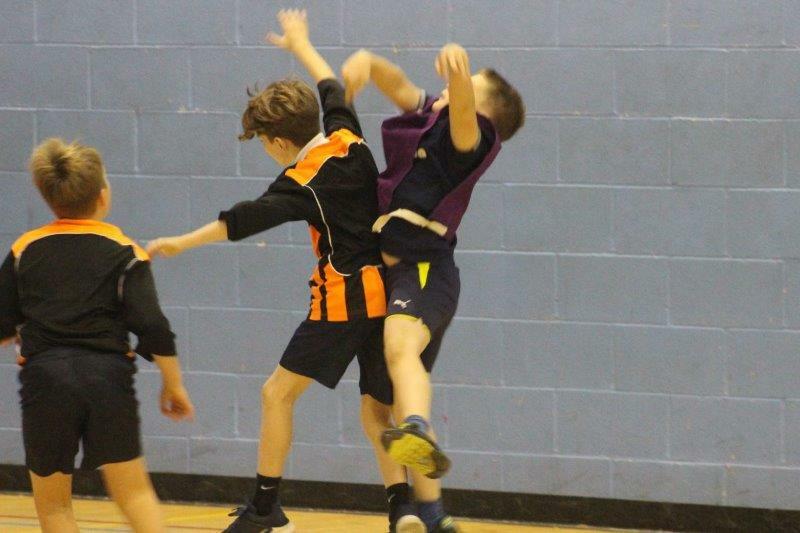 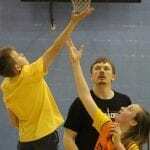 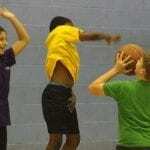 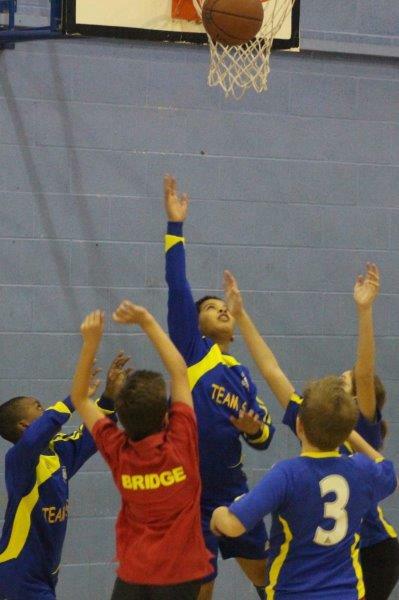 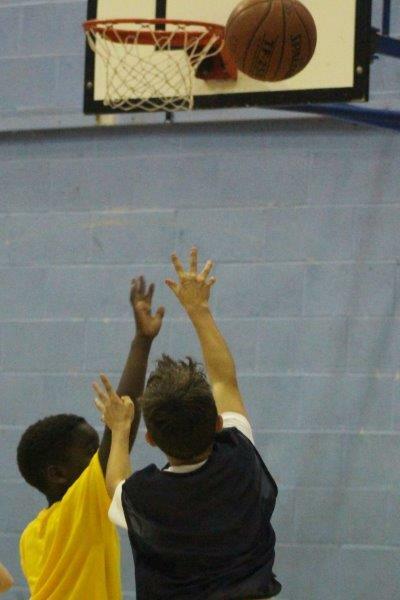 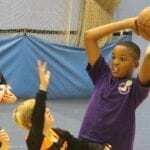 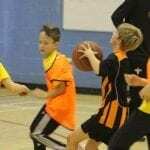 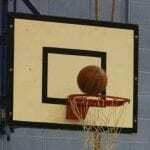 This added to the tension as both teams tried to outwit each other to score what they knew would be the winning basket. 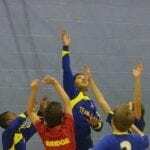 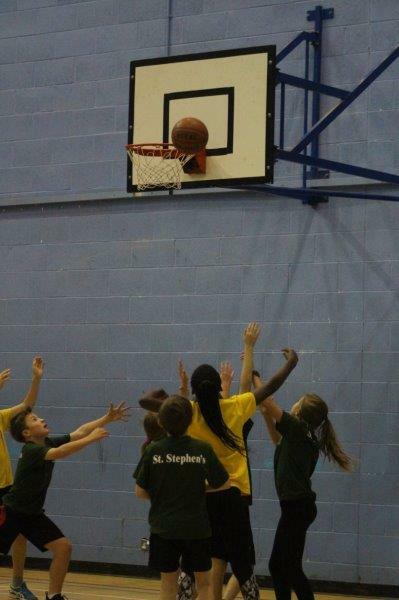 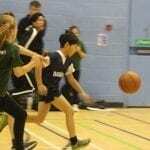 Eventually, St Stephen’s clinched the point with a fantastic shot which sealed their third place position. 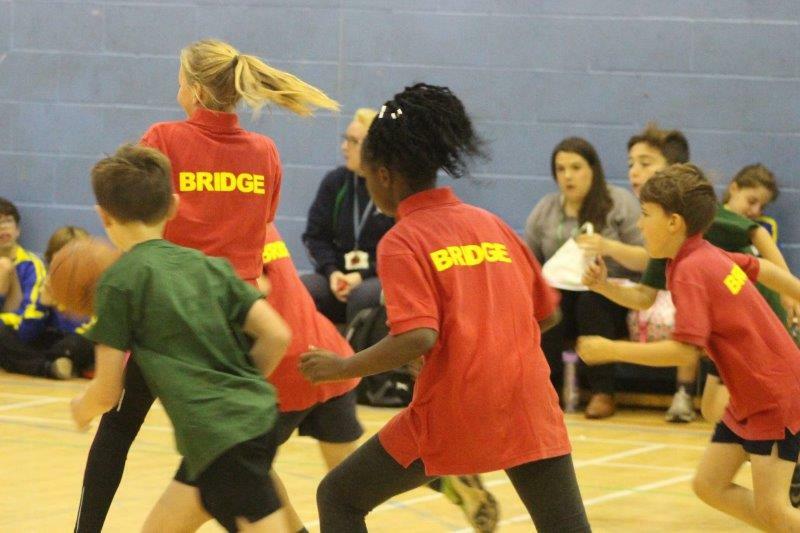 The Grand Final was sorted in normal time with a very excited ‘Bridge A’ celebrating as the air horn signalled the end of the tournament. 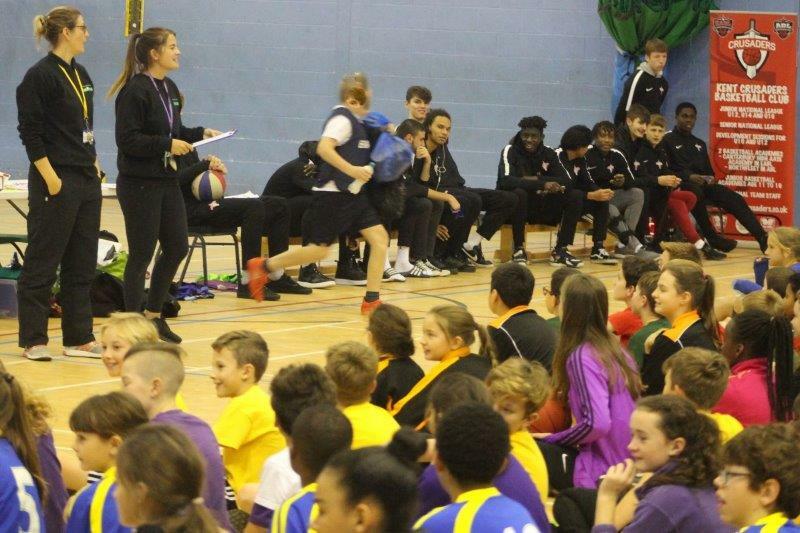 Other teams has remained to watch the final and congratulations were offered from all schools. 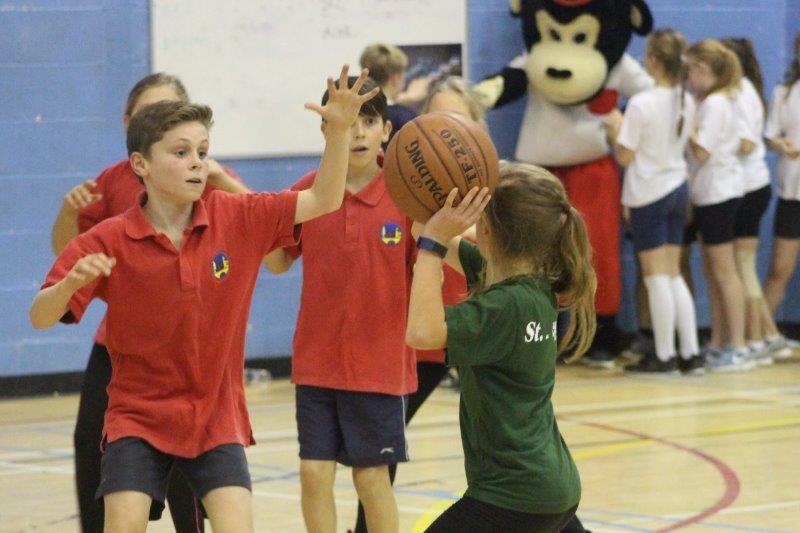 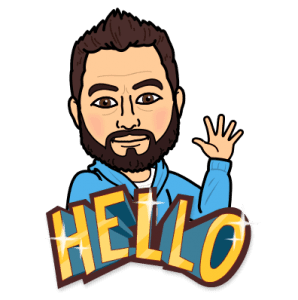 I have covered a number of these sporting events in Canterbury over the past couple of months and continue to be impressed with how well they are planned, supported and run. 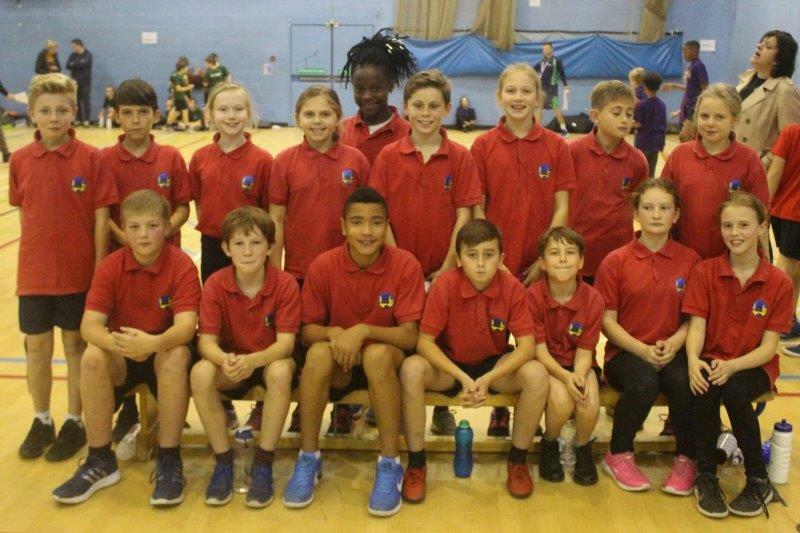 A massive well done to the Canterbury Academy Sports Partnership, the officials from Kent Crusaders, Sports Leaders and teachers who all helped make this event a success. 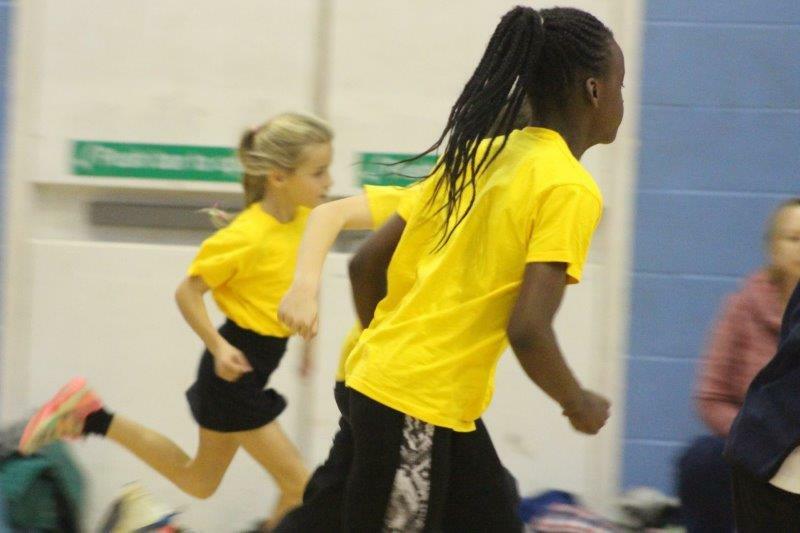 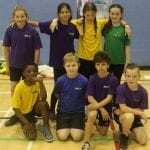 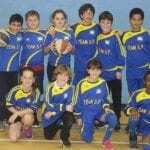 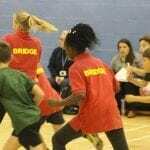 I would also like to take the opportunity to praise the young school children who compete in these events. 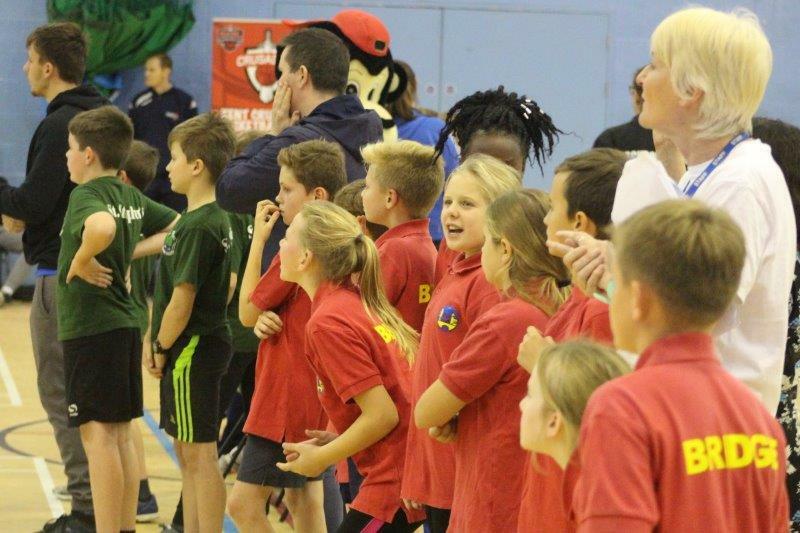 Despite the competitive natures of these tournaments, there is always an underlying sense of fair play, respect and friendship that shines through and it is my absolute pleasure to attend them. 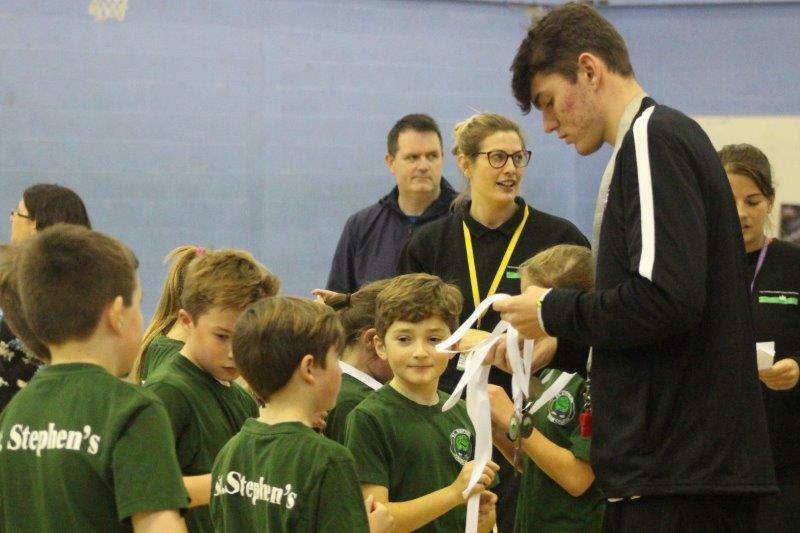 Please take a look through our gallery of the event and feel free to share this article with anyone who may be interested.